Euclid Archives - HGR Inc.
What are your job responsibilities on a day-to-day basis? Digital marketing and public relations, including community partnerships with the city, chamber of commerce, Euclid High School, AWT Robobots and others; weekly blogs; social media monitoring and sharing on Facebook and Twitter; quarterly newsletter; monthly column on manufacturing in two Observer newspapers; staff the LiveChat feature on our website; maintain the email and mailing contact lists; generate bi-weekly Amish inventory listing; participate in online industry forums; edit daily sales email; manage and respond to HGR’s email box; special events coordination, such as F*SHO, IngenuityFest or MAGNET’s State of Manufacturing; liaison with vendors and caterers; administer our annual STEM scholarship; seek content backlinks from other websites to ours; secretary for HGR’s values committee; marketing department onboarding for new employees; cover the front desk phones and customer check-ins, as needed; wash cookout dishes and put out donuts; and whatever else will support my team. What qualifications are needed to succeed in your role? What background or prior work experience do you bring to the table? I consider myself a brand evangelist and content marketer who uses print, digital and event marketing to enhance my company’s reputation and position in the industry in order to drive traffic, build leads, and serve existing and new customers. I’ve managed internal and external communications and marketing for PNC, CWRU, Timken, J.M. Smucker Company, Dealer Tire, Penton Media, and Construction News Corporation, as well as taught college English, writing, communication and marketing classes. I’ve also learned a lot from mentors and organizations with which I have volunteered. How long have you been with HGR, and why? Three years, because it’s a family environment where customers and coworkers become friends; we all work together to get people what they need when they need it. I feel valued and respected, as well as enjoying what I do. Each day is different and interesting. What amazing things are you doing in your personal life? 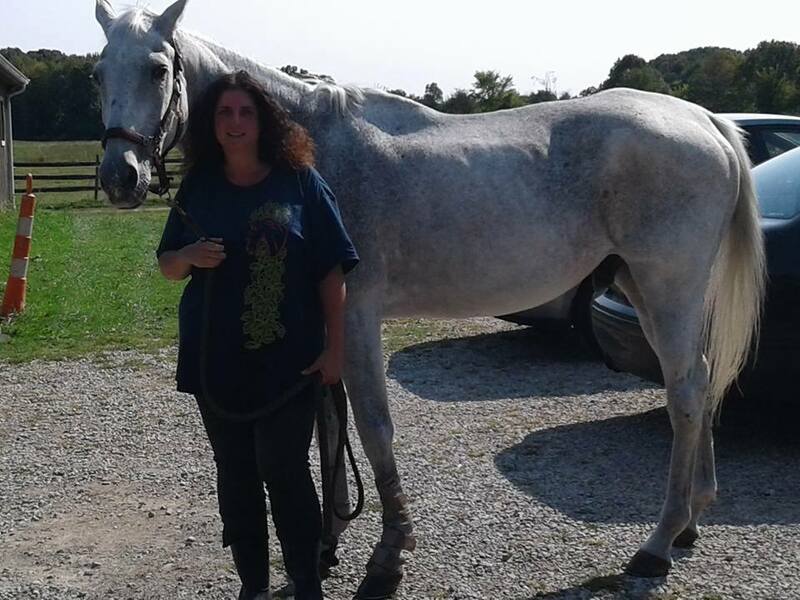 I write poetry, read lots of books, spend tons of time at the barn and in the park riding my horse. I collect books, perfume and, most recently, endless amounts of cute fairy garden stuff. What can you tell us about your family? I’m an only child and lost my dad three years ago. My nuclear family consists of my mom and my fur babies – Gwyn and Stas (cats) and Idyll (horse). What is the most important thing in the world to you/what matters most? Any words of wisdom to share? I do a lovingkindness meditation every day and ask for safety, health, happiness, and ease and peace for myself and others. When did you start with HGR, and why? What is your territory, and what do you do on a daily basis? I do not have a territory. My territory consists of anyone/anywhere who has surplus to sell! I help manage the procurement of all that we sell. What I do is twofold. First, I manage seven of our regional buyers. I work with them daily on making sure we get everything out of opportunities that are presented to our company. The second part of what I do is to build and maintain relationships with larger corporations that continually have surplus equipment/material that they need to move. It may sound cliché, but each day is different in that each opportunity we work on is different. 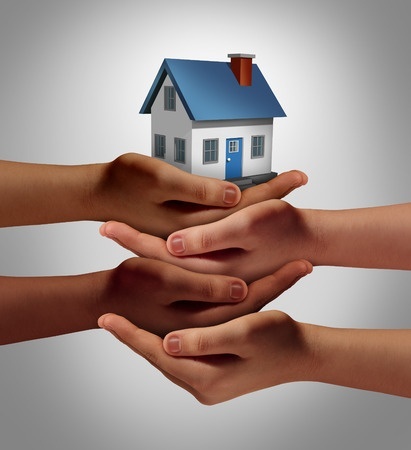 Every deal we work on has its challenges and issues that need to be resolved. My job is to figure out options and look for ways we can achieve the goals of not only HGR, but that of our customer, as well. Working remotely with each of our buyers and our consignment partners. Technology has certainly helped with managing and making things much easier to review. The challenge is working remotely and not seeing firsthand what exactly the issues are that need to be resolved. The best way to overcome this challenge is to jump in the car or on a plane and go meet personally to help overcome the challenge. Travel, in and of itself, can be a challenge. What’s your most interesting moment at HGR? This is a loaded question. Probably best to keep this to a conversation over a beer after hours one day. Keep in mind, I work with the Buy Group. It is made up of a cast of characters. There are some interesting stories to tell! All things related to my family. I am very lucky in that I have a great wife and awesome kids. 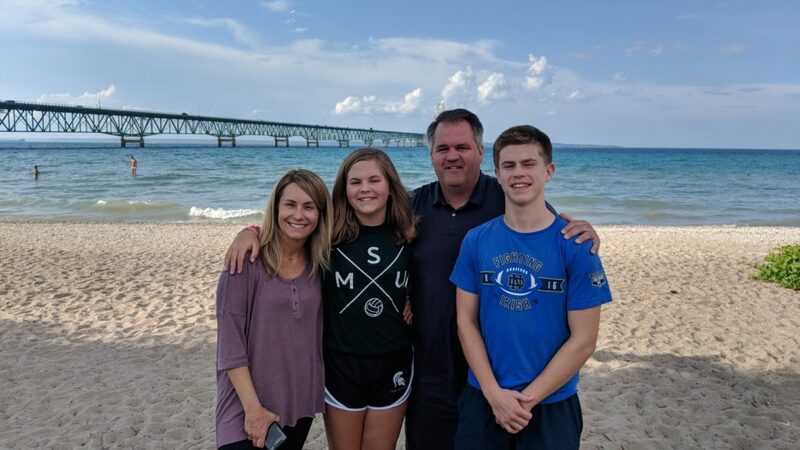 As my kids have gotten older, my wife and I realize that we need to do whatever we can with the time we have and enjoy our time together. With my schedule, I do miss out on things. My kids understand this, but they know I make every effort possible to spend time with them. Everything else is secondary. As stated above, I have worked with HGR since Day 1. I started out as one of our regional buyers and moved into management/ownership a few years later. My wife and I have now been married for 22 years and have two kids. My son is 17, is a senior in high school, and is working on figuring out his next step in life – where to attend college. My daughter is 13 and is in the eighth grade. They both are very active in school and various activities. For those who do not know, I live in the Great State of Michigan. For you Buckeyes, do not worry. I am not a fan of that team out of Ann Arbor (NOT a fan at all!). I do live about 45 minutes north of Ann Arbor, but that is really my only association with the school that resides there! Anything I missed that you want folks to know? I want all at HGR to know that I certainly appreciate all that they do to make HGR a success. I am not at HGR’s Euclid office often, but, rest assured, I hear about and take notice of the great things they do to make HGR a success. SAVE THE DATE! Join the Euclid Chamber of Commerce at the office of Euclid City Councilperson Brian Moore., 22657 Euclid Ave., Euclid, Ohio, on Oct. 9 from 8:30-9:30 a.m. EST for a for coffee and a chat. SAVE THE DATE! Join the Euclid Chamber of Commerce at The Cabin, 28810 Lakeshore Blvd., Willowick, Ohio, on Aug. 14 from 8:00-9:00 a.m. EST for a presentation from the Willoughby Western Lake County Chamber of Commerce over coffee and networking. SAVE THE DATE! 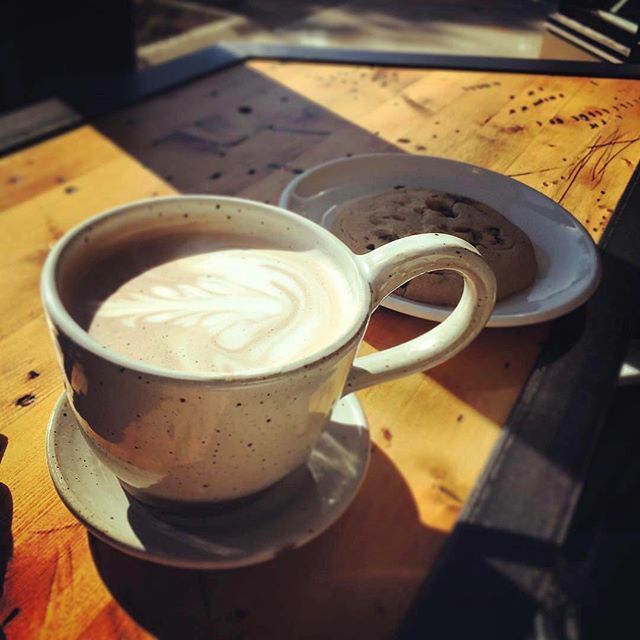 Join the Euclid Chamber of Commerce at Moore Counseling & Mediation Services, 22639 Euclid Ave., Euclid, Ohio, on July 10 at 8:30-9:30 a.m. EST for coffee and networking. SAVE THE DATE! Join the Euclid Chamber of Commerce at a location to be announced in Euclid, Ohio, on June 26 at 8:30-9:30 a.m. EST for coffee and networking. 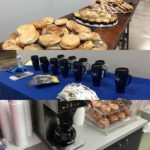 Join the Euclid Chamber of Commerce at its new offices, 20150 Lakeshore Blvd., Euclid, Ohio, on May 22 at 8:30 a.m. EST for coffee and networking. How did you first become involved with Cleveland Institute of Art? When I was in fourth grade, I received a scholarship from Euclid’s Upson Elementary School to attend Saturday children’s art classes at Cleveland Institute of Art. In fourth grade I discovered that the art school had a candy machine and a 10:30 a.m. morning break from the strenuous task of creating children’s art. I was pretty much hooked from that moment on. My Uncle Sam rightfully considers me to be a retired art teacher. I taught design for 32 years at Cleveland Institute of Art. What types of materials do you use to create your art? Pen and paper is all that I require to be quite content sketching…for now. How did you find out about HGR Industrial Surplus? I tagged along with CIA Students Matt Beckwith and Greg Martin on their spirited explorations throughout the vast interiors of HGR. They hit the ground running, and I followed along. Why would you recommend HGR to other artists and makers? What do you do when you are not creating art? I love to read — most recently Tribe by Sebastian Junger, which was brought to my attention by Councilperson Christine McIntosh. Euclid Public Library is an inexhaustible resource. 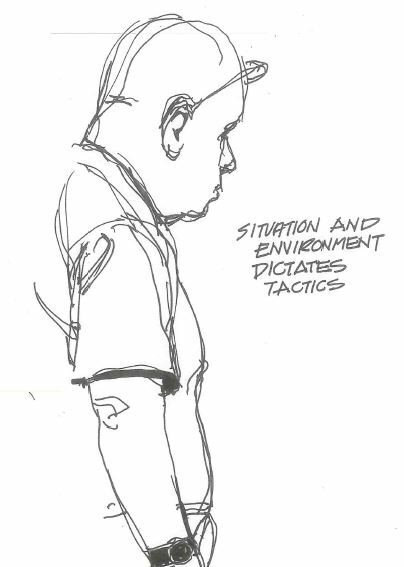 You can usually find me sketching at Euclid City Council meetings. Not what, but who. The Zen master of all things design is undoubtedly Ni Tram. Beyond Ni Tram there are of course Matt Beckwith and Greg Martin. Of special note is Frank Hoffert, a retired Euclid High School teacher, who first introduced me to Euclid City Council meetings 40 years ago. 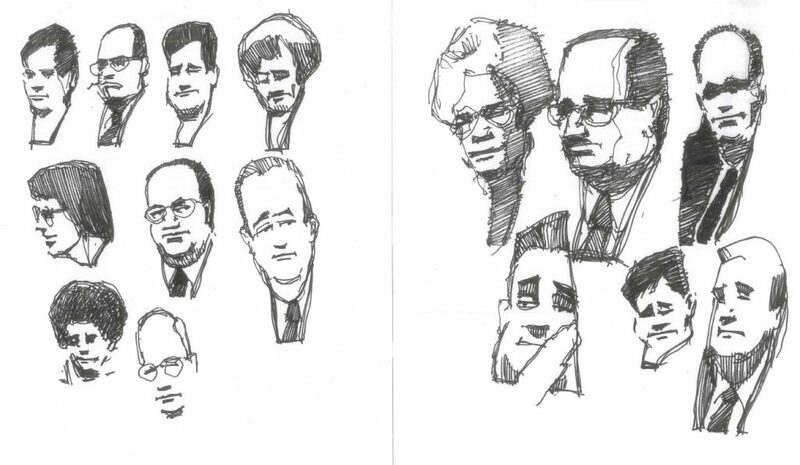 It has proven to be an inexhaustible resource for sketching from life. Heed the advice of Councilperson Reverend Brian T. Moore regarding the importance of a conversation. You never know where it might lead. Back for a second time at HGR Industrial Surplus, but in a different space in the front of the building in our Incoming/Receiving area, we’ll be hosting Amanda and Jason Radcliffe’s F*SHO, a contemporary and industrial furniture design show, for one night on Sept. 14 from 5 p.m. to 10 p.m. It’s still free and put on courtesy of 44 Steel. There’s still beer and a DJ spinning some tunes. But, this year we will have a variety of food trucks so that the food doesn’t run out! Last year was such a success with more approximately 3,000 attendees that you won’t want to miss it. If you did, you can read about last year’s show here. As more details become available, we’ll be posting them here on HGR’s blog and on our Facebook and Twitter sites. Stay tuned! If you are interested in exhibiting at the show, contact Jason or Amanda at 44 Steel at info@44steel.com. On May 9, 2018, Euclid Public Library and the Euclid Chamber of Commerce are teaming up to show small businesses the roadmap to success at Euclid Public Library from 8:30-10 a.m.. Hear from experts about how to get the information and guidance you need to start or grow your business. This is a FREE event but please register here. 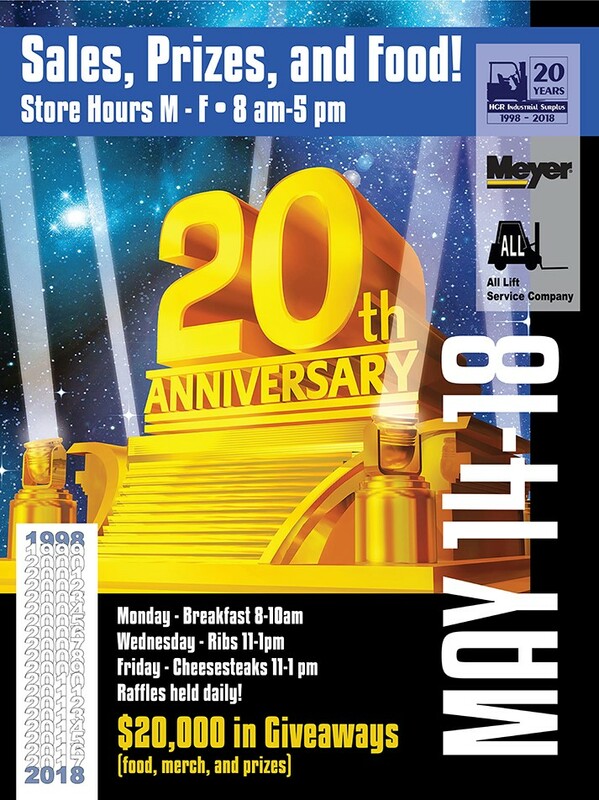 Come celebrate HGR’s 20th anniversary! We’ll be there rooting on our team: Euclid High School’s Untouchables! They’ve got a mean machine this year. Come check it out. 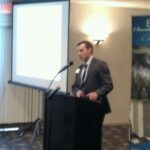 Join the Euclid Chamber of Commerce at Mount St. Joseph Rehab Center, 21800 Chardon Rd., Euclid, Ohio, on Apr. 17 at 8:30 a.m. EST for coffee and pastry, networking and to meet the staff and tour the facility on its beautiful campus. On Mar. 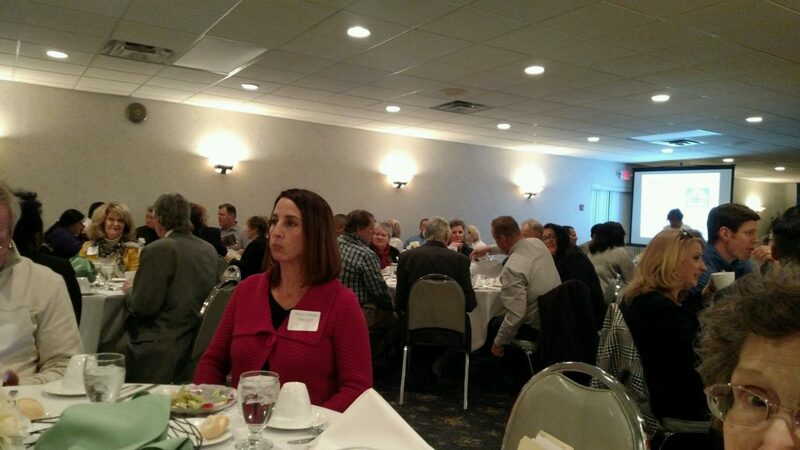 22, at the Irish American Club, Euclid, Ohio, members of the community, local businesses and dignitaries gathered for the annual chamber of commerce awards presentation. Attendees also were treated to a Taste of Euclid — food and drinks by local restaurants, including Great Scott Tavern, Muldoon’s, Euclid Culinary Bistro, fRed Hot, Mama Catena, Rascal House, Tizzano’s and others. 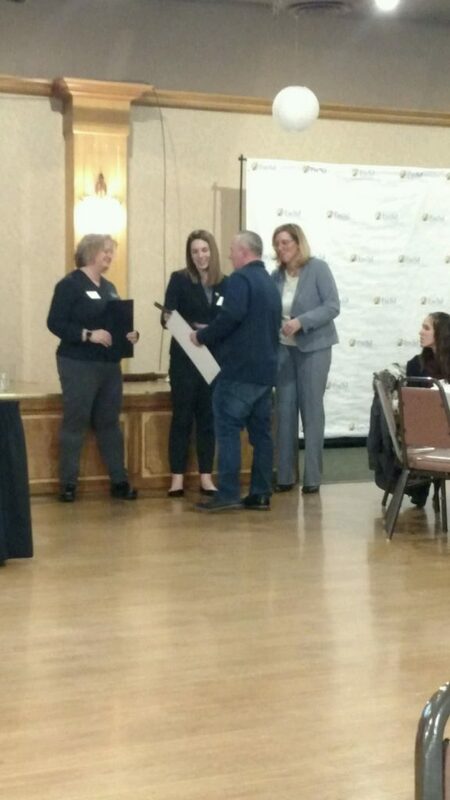 Former board members Cheryl Cameron of Action Carstar and Rich Lee of Euclid Hospital, as well as Brian Moore of Moore Counseling and Mediation Services (where the chamber was housed for many years) were also recognized for their service to the chamber. The City of Euclid is accepting proposals from potential buyers for the buildings at 19770 St. Clair Ave. They would be a perfect fit for a small manufacturer/maker that also wants a retail storefront. For more information and to submit a proposal, click here. I grew up and was raised right here off East 185th St., East Park Dr. and Windward Ave. At the age of 23, I moved away to the southeast side of Cleveland for 15 years to Slavic Village. Following that, I spent 15 years raising my children in Richfield. Personal reasons brought me back to Euclid in 2011. I have always loved cycling — starting as a tourist then moving to long-distance riding and competitions. The 90s saw me move to commuting to work by bicycle for fun and fitness. Since I’ve moved back to Euclid, I just ride for fun and leisure, to stop and smell the roses. In 2014, I became hooked on the collection and restoration of old, vintage bicycles from the 50s, 60s and 70s. I continued to grow a nice collection of bikes and friends through various organizations and bicycle shows/swap meets. All the while, I bought, sold, traded and donated bikes from my home on Craigslist and eBay. This past fall, I decided to go all in/full go on opening a storefront/shop right here in Downtown Euclid at 21936 Lake Shore Blvd. I have watched the area for a few years and realized that there is really nothing around here that fits my niche as an old-school bike shop. Why not? Euclid has not had any store/shop-related bike stuff for 25 years. I have a passion and a gut feeling that this may work – a place where anyone can come in, enjoy a slice of nostalgia, maybe purchase an older, vintage bicycle, browse around at a museum that have planned for the basement area. 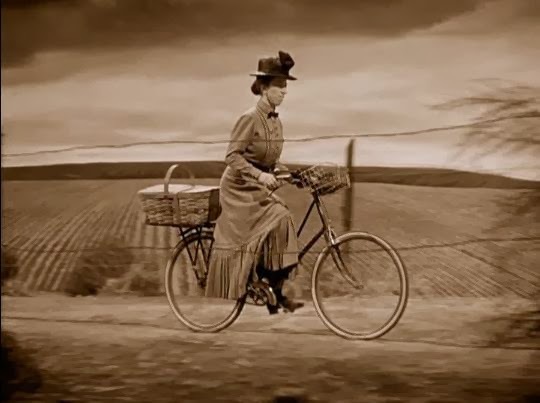 I will not sell new bicycles, but recent to much older, vintage bikes that have been refurbished and made rideable — and at a better cost than buying some junk at a big-box store. Styles will include BMX, Muscle, Single, 3-speed, 5-speed and 10-speed Cruisers with 18-, 20-, 24-, 26- and 27-inch wheel sizes. Also, I intend to have a fully operating repair service for many bikes, but probably not the very high-end ones. I will carry a complete line of parts, accessories such as helmets, tubes, tires, handlebars, seats, water bottles, etc. The shop will be a start location to gather for rides, events such as the Euclid Art Walk, the Memorial Day Parade, and local bike ride – heck, even Bike Euclid Events. We have ample parking in back and along Lake Shore Blvd. The location should help and benefit many, especially with the expanded bike lanes and the Lakefront Renovation. I may even introduce rental of older, vintage bicycles for out-of-town visitors or for anyone who may want to ride a bicycle they had as a child 30 to 40 years ago. Join the Euclid Chamber of Commerce at the Irish-American Club, 22770 Lakeshore Blvd., Euclid, Ohio, on Mar. 22 from 5:30-9:30 p.m. for the annual awards evening. Celebrate the businesses and people of the year and sample food from the best chefs in town. 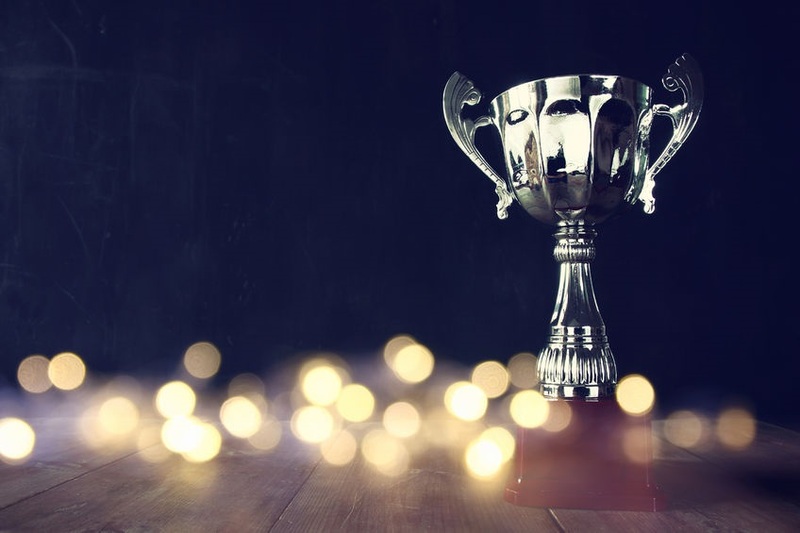 And, if that’s not exciting enough, HGR Industrial Surplus has been selected as one of the chamber’s 2017 award winners! Each winner will receive an award and a commendation from state officials in attendance. Join the Euclid Chamber of Commerce at Services for Independent Living at 26250 Euclid Ave., Suite 801, Euclid, Ohio on Mar. 19 from 8:30-9:30 a.m. for an educational discussion. The last U.S. Census indicates that 20 percent of the U.S. population are people with disabilities, whether visible or invisible. By ensuring your business is accessible, you have the opportunity to increase your customer base. They will discuss easy ways to maximize the accessibility of your business and offer suggestions on making your business practices inclusive. Join the Euclid Chamber of Commerce for coffee, pastry, networking and a tour and to learn more about the many resources available for businesses–searchable databases of businesses, legal forms, grants, and many other tools you may be surprised to learn are available for free. The event is free of charge and takes place on Mar. 13 from 8:30-9:30 a.m. at 631 E. 222nd St., Euclid, Ohio. Please register with Jasmine Poston at 216.404.1900 or jposton@moorecounseling.com. Join the Euclid Chamber of Commerce at Euclid High School, 711 E. 222nd St., Euclid, Ohio, on Mar. 8 from 10:30 a.m. to 4:30 p.m. as they spend the day helping to develop our future workforce, while also meeting potential candidates available for immediate hire. Give local students a first-hand look at viable career opportunities. Then the doors will open to the public for a job fair. Students EXPO: 10:28 a.m.- 1:17 p.m. Break: 1:20 p.m. – 2:20 p.m. 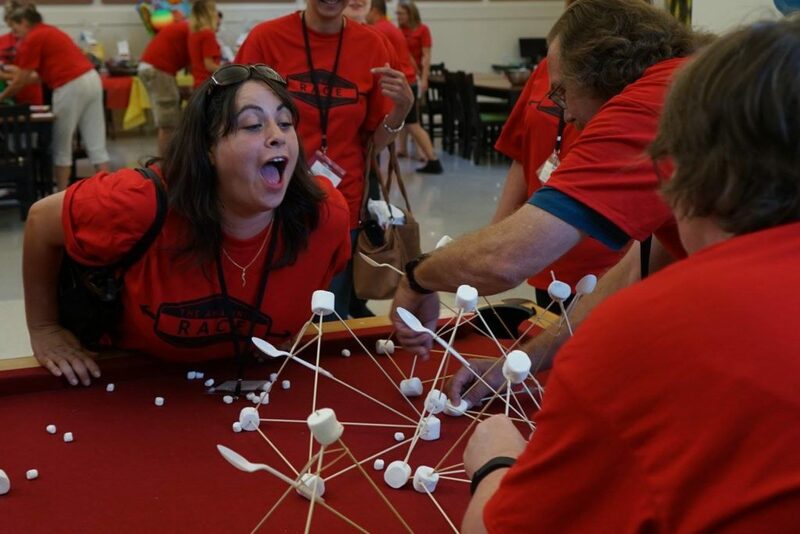 Engaging and hands-on activities or demonstrations to entice the student population. You are welcomed to bring materials/giveaways for both the student expo and job fair. 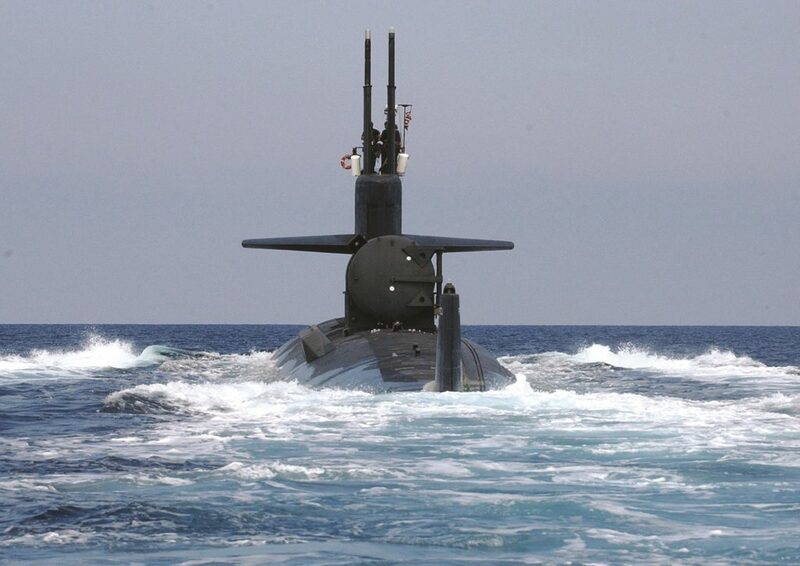 (courtesy of the U.S. Navy): A Los Angeles-class nuclear-powered fast attack submarine heads out to sea after a brief port visit in Greece. Tell me about how your business started. BWX Technologies, Inc. (BWXT) traces its history all the way back to the 1850s when Stephen Wilcox patented the water tube boiler. Almost 100 years later, with the advent of nuclear energy, our expertise in the power generation business put us at the forefront of commercial and government nuclear industries. Operating for many years as the Babcock & Wilcox Company, we spun off our power generation business in 2015 to allow BWXT to focus on government and nuclear operations. Why was the decision made to locate in Euclid? BWXT purchased the Euclid operations from an offshoot of TRW in 2007. TRW’s predecessors have been in the Cleveland area since the early 1900s and here on Euclid Avenue since before World War II. How are the products that you manufacture used? BWXT’s Euclid site manufactures electro-mechanical components for naval nuclear reactors used in submarines and aircraft carriers. For more than 60 years, the Navy’s submarines and aircraft carriers have safely steamed millions of miles using components manufactured by BWXT Nuclear Operations Group facilities – a track record that is highlighted by our commitment to safety, quality and integrity. How many employees work in the facility in Euclid, and what kind of skilled labor do you hire? About 350 employees work at our Euclid facility. Due to the high-consequence nature of our products, most of our employees are considered to be highly skilled. 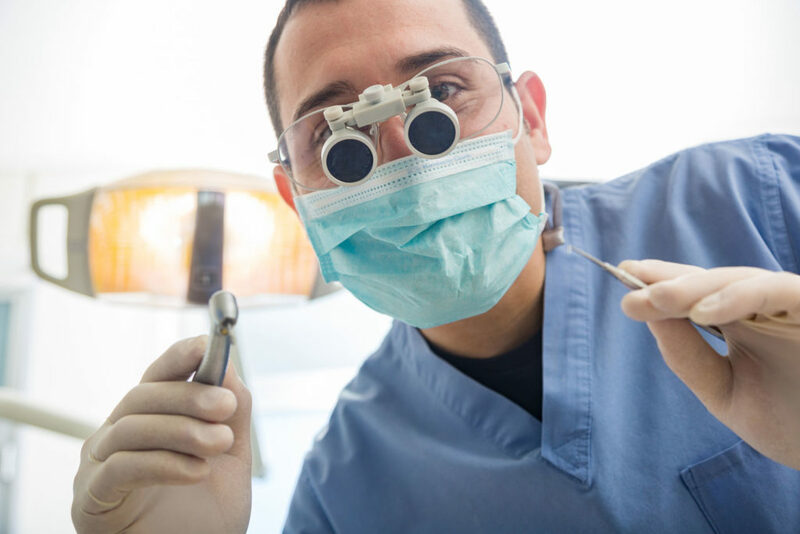 We employ machinists, welders, inspectors, engineers and a variety of professional support staff. Are there ways that the company participates in the community? 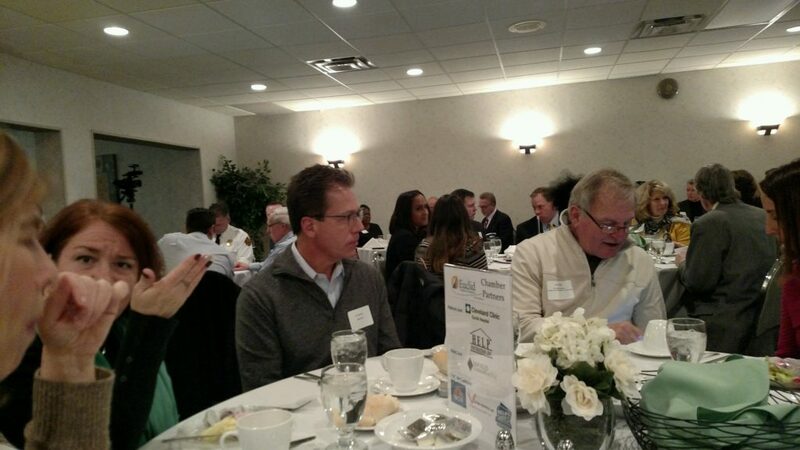 We support the community through sponsorship of Euclid Chamber of Commerce events and contribute to a number of deserving charitable organizations in the community such as the United Way. What do you think is the biggest challenge that manufacturing currently faces? The retirement of the older generation of trade workers has, in many cases, left manufacturers with more openings than there are qualified and available employees. This is exacerbated by generally low unemployment. We have an advantage in that our factories have industry-leading safety records and that our work is especially meaningful. Our employees take tremendous pride in the fact that our products keep our sailors and our nation safe. These jobs pay well and do not require tens of thousands of dollars in student loans, so attitudes about trades and technical careers are changing quickly. Our schools and community colleges are helping us narrow the gap. What does the future of manufacturing, especially in Northeast Ohio, look like? We can only speak for ourselves. This is an exciting time to work for BWXT. BWXT’s Nuclear Operations Group, which includes our Euclid and Barberton manufacturing facilities, has reported record revenues each quarter for the last few years. The Nuclear Operations Group had a backlog of nearly $3 billion at the end of September. Our fourth quarter and full-year 2017 results are scheduled to be announced Feb. 28, 2018. Our products enable our sailors to carry out their mission to keep our nation safe. We keep those customers in the forefront of our minds in everything we do. Are there interesting facts about you or your business that most people don’t know? In August 2017, NASA awarded the company an $18.8 million contract to start designing a Nuclear Thermal Propulsion (NTP) reactor in support of a possible future manned mission to Mars. With NTP technology’s high-energy density and resulting spacecraft thrust, NASA is projecting up to a 50 percent reduction in interplanetary travel times compared to chemical rockets, significantly increasing the crew’s safety by reducing exposure to cosmic radiation. 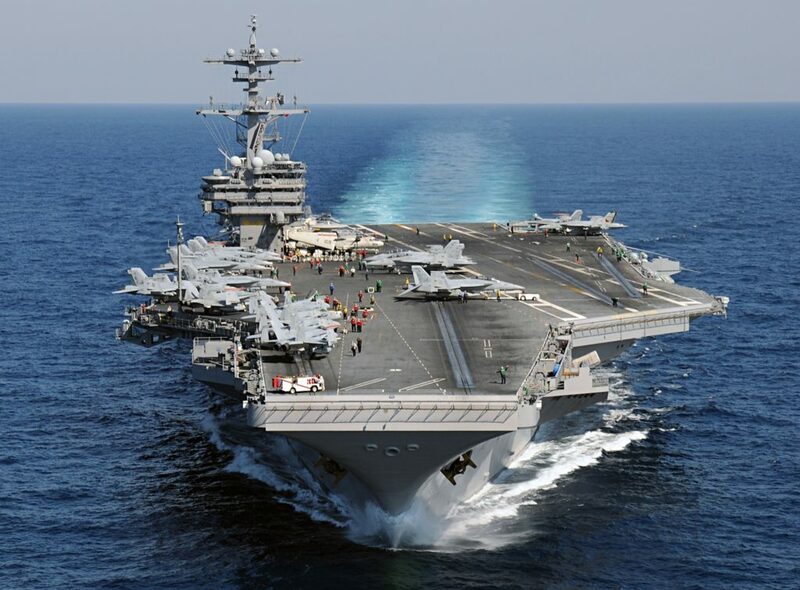 (courtesy of the U.S. Navy): The aircraft carrier U.S.S. George H.W. Bush underway from its home port in Norfolk, Va.
HGR loves to support the Euclid community. If you live or work in the community, you might be interested in attending a comedy show and Chinese auction on Apr. 14 at Kiddie City, 280 E. 206th Street, Euclid, Ohio. The show starts at 7:30 p.m. with three local comedians. Snacks, beer, wine, pop and water will be included. It’s only $27 per person or $52 per couple and is tax deductible since it’s a fundraiser for Kiddie City, a 501 (c)(3) nonprofit in Euclid since 2006. This fundraiser occurs so that Kiddie City can continue to create a lifelong love of learning for children in its teachers’ care. For tickets, contact Kiddie City at 216-481-9044. On Feb. 22, Euclid Mayor Gail addressed members of the chamber, local businesses and the community over lunch at the Irish-American Club. 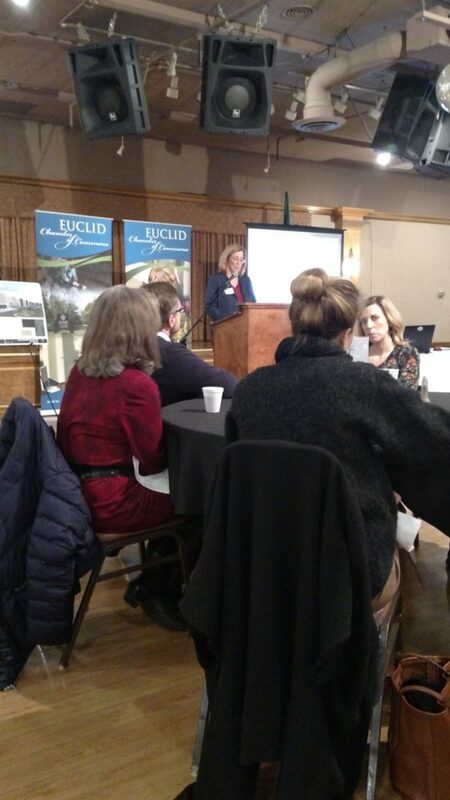 The mayor introduced two tables of city employees in attendance then shared her commitment statement to provide Euclid residents and businesses with “the best services in a cost-effective and innovative manner.” She said there are three themes that consistently surface in her work with the city: investment, resilience and innovation. She spoke mainly about investment, including the new Amazon fulfillment center, other new businesses, and business and school expansions. She mentioned the recently created master plan and its goals for residents, businesses and infrastructure: stay, prosper, play, connect, engage and preserve. Finally, the mayor acknowledged the investment in safety by the police and fire departments. The police department received many prestigious safety awards for its work in 2017 and responded to 43,471 calls, while the fire department answered 10,825 fire and EMS calls. The mayor closed the luncheon by looking forward toward more investment, resilience and innovation in 2018. 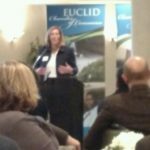 Join The Euclid Chamber of Commerce on Feb. 22 at noon at The Irish-American Club, 22770 Lakeshore Blvd., Euclid, Ohio, for lunch as Mayor Gail presents her annual State of the City Address. Q&A session will follow the presentation. Doors open at 11:30 a.m. Lunch will be served at 12 p.m. Sponsorship Package $300: Includes reserved table of 6 with premier seating, special mention during announcements, opportunity to hand out promotional materials, and logo on event signage. Join the Euclid Chamber of Commerce at Services for Independent Living at 26250 Euclid Avenue, Suite 801, Euclid, Ohio on Feb. 21 from 8:30-9:30 a.m. for an educational discussion that will revolve around building a more diverse and inclusive work culture through the hiring of persons with disabilities. They will address myths regarding hiring people with disabilities as well as what is required in terms of the ADA, potential low cost/no cost accommodations and basic disability etiquette. Time will be made to troubleshoot specific issues. No cost to attend. Membership not required. Join the Euclid Chamber of Commerce for coffee, pastry, networking and a tour of this local agency charged with helping and empowering individuals with disabilities to lead healthy, productive lives. The event is free of charge and takes place on Feb. 13 from 8:30-9:30 a.m. at 26250 Euclid Ave., Suite 801. 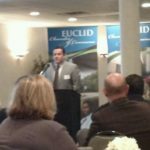 On Jan. 31, a full house was gathered at Tizzano’s Party Center to hear the Euclid Chamber of Commerce’s presentation of “The Amazon Story” that included Amazon’s plan to tear down the former Euclid Square Mall and build a 655,000-square-foot, $175-million fulfillment center, which will add 1,000 new jobs to the region. Euclid Mayor Kirsten Holzheimer Gail mentioned that the initial meeting in March 2017 at Cuyahoga Community College to discuss the project was the most memorable day during her time as mayor. After that initial meeting, there were ongoing efforts to rezone the property and to secure $1.2 million from the Ohio Department of Transportation toward roadway improvements. The next speaker, Matt Deptola of JobsOhio, a nonprofit corporation that promotes job creation and economic development for Ohio, shared his organization’s enthusiasm about the reputation of Ohio as a great place to live, according to Forbes and other magazines. He also shared some interesting statistics about Amazon. It currently transfers items from its regional fulfillment centers to a nearby sortation facility to a shipping facility within seven hours. Currently, Amazon has a sortation facility in Twinsburg and a shipping facility in Euclid; so, the fulfillment center in Euclid makes perfect sense. Amazon currently employs 6,000 people in Ohio. Additionally, Amazon offers $12,000 of tuition reimbursement for training in high-demand fields after one year of employment, benefits on Day 1, and an average hourly rate of $13. Pete DiSalvo with DiSalvo Development Advisors was the final speaker before the mayor returned to the mic to share that Amazon already has made a commitment to the community by giving $10,000 to the HELP Foundation, a Euclid business that empowers individuals with intellectual and developmental disabilities through residential, day support, vocational, and summer education programs. When was the company or division founded, by whom and why? PPG was founded in 1883 by Capt. John B. Ford and John Pitcairn in Creighton, Pa. Since then, we have maintained our commitment to innovation and quality products and have shifted our portfolio to focus on paint, coatings and specialty products. PPG coats the planes you fly in, the cars you drive, the mobile devices you use and the walls of your home. Why did you locate in Euclid, Ohio? 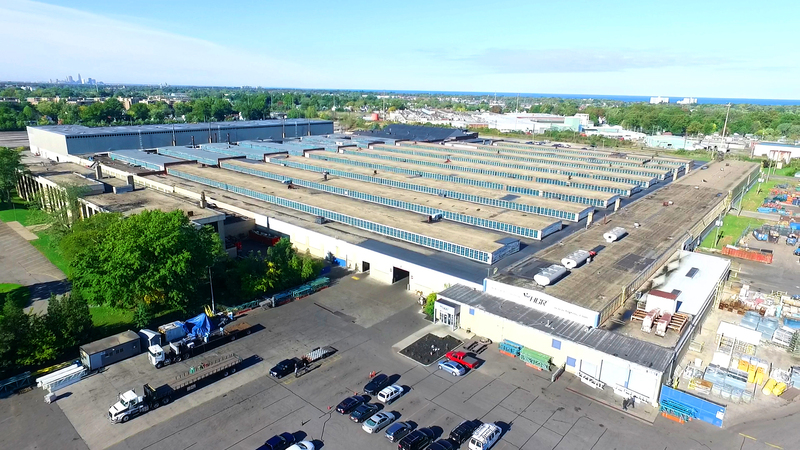 PPG purchased the former Man-Gill Chemical Company facility in Euclid in 1997 as a way to enhance our resources and technology to better serve the automotive, industrial and packaging coatings markets. The Euclid facility complements our strong network of other PPG facilities in the Northeast Ohio region to provide a broad range of products to our customers. What do you make here? PPG’s Euclid, Ohio, industrial coatings plant produces pre-treatment and specialty products, including alkaline and acid cleaners and zinc phosphates. What types of customers buy your products or for what industries? PPG’s industrial coatings products serve customers in the automotive, transportation, appliance, coil, extrusion, and other markets. In what ways are your products used? The products produced in the PPG Euclid facility are utilized primarily in metal processing applications to clean, coat, and provide corrosion resistance, as well as in preparing the metal surface for priming and painting. Our products are used on metal automotive parts, such as body panels, underbody components and fasteners, as well as metal appliance frames and heavy-duty equipment parts. How many employees and in what types of roles? What types of skilled labor do you hire? Globally, PPG has approximately 47,000 employees. We employ approximately 90 people at our Euclid facility in a variety of manufacturing, technical, sales and data management roles. What is your role at the company, and what do you enjoy most about what you do? I am the plant manager for PPG’s Euclid manufacturing plant. For me, it’s all about our people. We have a great, engaged workforce, and I really enjoy working as a team with our employees to continuously improve our operation to be successful in today’s competitive business environment. What role does the company play in the manufacturing industry locally? Do you use local suppliers or have local customers? PPG has a strong presence in Northern Ohio with our Euclid, Strongsville, Cleveland, Huron and Barberton facilities. We utilize many local suppliers, and while many of our customers are in the Ohio, Michigan, and Pennsylvania regional area, we serve additional customers nationally and across the globe. In addition, we donated a combined $130,000 in PPG Foundation grants in 2017 to local organizations in the Cleveland area, which supported STEM educational and community sustainability programs. In your opinion, what is the biggest challenge that manufacturing currently faces? The manufacturing sector as a whole currently faces challenges around hiring skilled labor and addressing the educational gap. For current students and recent graduates, there is often a misconception that manufacturing only involves physical labor in a plant. 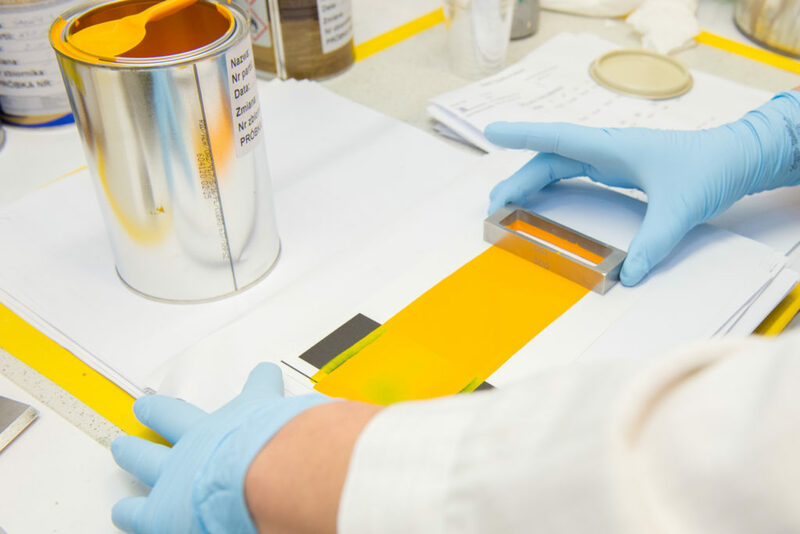 However, PPG is working to educate the next generation of manufacturers to understand that the industry is highly technical and offers a variety of strong opportunities tied to science, technology, engineering and mathematics (STEM). What is the state of manufacturing in Ohio or the area? Manufacturing is an important business sector in Ohio and has been on a growth trend since 2009. Ohio is one of the top 10 states in the nation for both percentage of employees in manufacturing and manufacturing as a percentage of gross state product. What does the future of manufacturing look like? Manufacturing is a promising industry and will continue to evolve based on industry needs. Manufacturers like PPG are continually working to provide opportunities and educate the next generation of manufacturers about the various skilled opportunities within the industry. Careers in STEM fields will continue to be essential for the growth and prosperity of manufacturing. Anything else that we missed but you would like to include? Some interesting fact that readers would be interested in? PPG has an exclusive paint partnership with the National Hockey League (NHL), which makes PPG paint brands “the Official Paint of the NHL in the U.S. and Canada. You can learn more here. 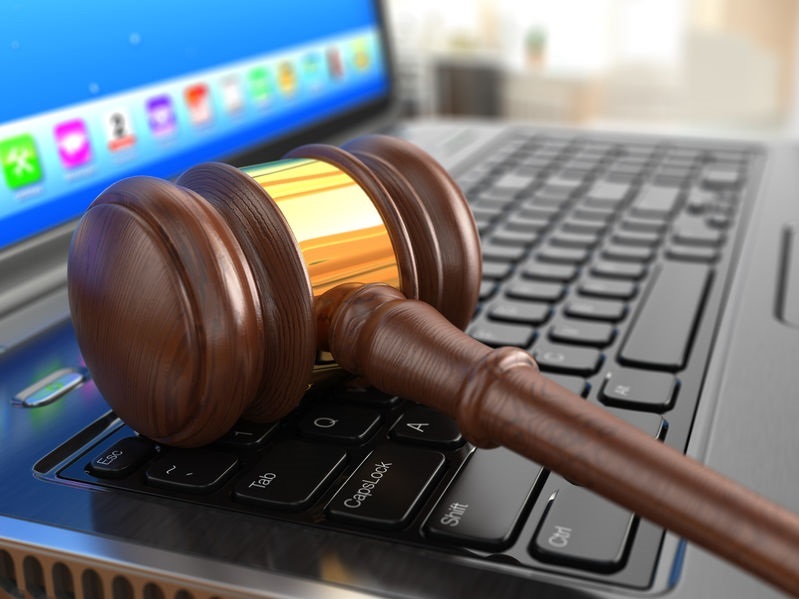 Who is John Miller, and what’s this about an auction? Like the old Donny & Marie song “A Little Bit Country, A Little Bit Rock ‘n Roll,” John Miller, one of HGR’s buyers who is located in St. Louis, Missouri, is a little bit sales, a little bit buyer. He works with both HGR’s Sales Department and Buy Department to bring in leads for brokerage equipment that we can sell through our website and those leads that we can auction. So, his position is unique because the items that he brokers are not rigged out to HGR’s Euclid, Ohio, showroom. 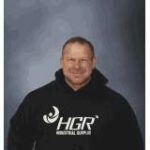 How did John make his way to HGR, and what is his experience? Well, prior to working for HGR, he worked in the industrial auction and machinery sales field. He has a longstanding relationship with HGR on the client side. He sold equipment to HGR’s regional buyers in the past, which is how he developed a relationship with HGR prior to coming on board as an employee. Here is a link to HGR’s next online and in-person auction of the assets from the former Allison Conveyor Engineering at 120 Mine St., Allison, Penn. This auction on Dec. 19 includes bridge mills, plasma tables, fabricating and welding equipment, CNC machining, and toolroom and support equipment. If you need further information about the auction process or have an auction lead, please contact John Miller at 636-222-0098 or Jmiller@hgrinc.com. I heard rumors about a hamburger joint in Euclid with some of the best burgers around and had to check it out. The colleague that I was meeting for lunch is a longtime Euclid resident, and she had never been there either. So, off we went to Stevenson’s Bar & Grill. Stevenson’s is a local, neighborhood bar where the bartenders and regulars make you feel welcomed. Alysia took care of us this time. It was Halloween; so, she was dressed as a skeleton and handing out candy. And, we got to meet Bruce, the kitchen owner. 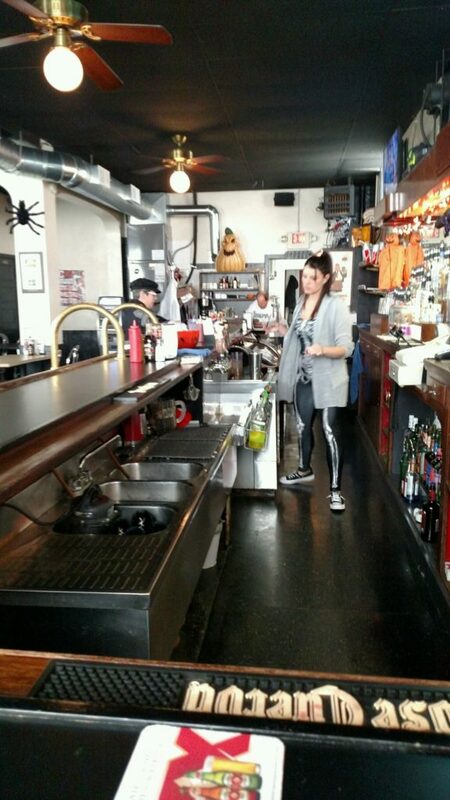 Yes, the kitchen and the bar are owned by two different people. Paula is the bar owner, but she wasn’t in when we visited. The menu is no frills, bar basics: French fries, onion rings mozzarella sticks, jalepeno poppers, other breaded and fried delights, two salad options and sandwiches. But, everyone comes for the “Big Guy” double cheeseburger with lettuce, pickle and special sauce. So, I had to try the “Big Guy” and fried pickles (slices, not spears) with a homemade horseradish sauce. My friend had the turkey burger with fries. Everything tasted homemade. The buns were good. The service was great. Bruce says that Stevenson’s has been around for 64 years with the first 60 years on Lake Shore Boulevard and the last four at its current location on E. 200th Street. So, if you’re shopping at HGR, it’s not a Wednesday when we have free lunch, and you’re in the mood for a burger, Stevenson’s is just around the corner. 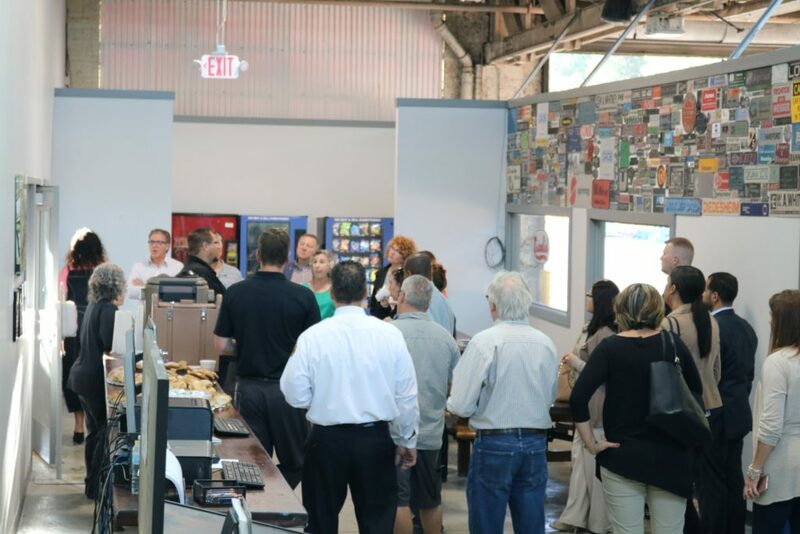 On Oct. 3, approximately 25 members of The Euclid Chamber of Commerce and the business community visited HGR Industrial Surplus for an hour to mingle, network, take a tour of the facility and learn more about HGR while enjoying coffee and pastry catered by Manhattan Deli. Attendees included the City of Euclid police chief, City of Euclid Mayor Kirsten Holzheimer-Gail, radio celebrity Mark “Munch” Bishop, the executive director of Shore Cultural Center, and many others. On their tour, they learned of HGR’s auction of one-of-a-kind handcrafted furniture by 44 Steel and Rust, Dust & Other 4 Letter Words to benefit hurricane relief. Last year, MAGNET: The Manufacturing Advocacy and Growth Network hosted The State of Manufacturing 2016 at Jergens. Click here for a recap of that event so that you can get an idea of what to expect. This year, HGR Industrial Surplus, 20001 Euclid Avenue, Euclid, Ohio, is hosting from 8 a.m. to 10 a.m. on Nov. 10, 2017. Tickets are required and can be purchased here for $10. You also can view the full agenda on that page. Join us for a morning devoted to economic and environmental trends affecting Northeast Ohio manufacturers led by Dr. Ned Hill, professor of public administration and city and regional planning at The Ohio State University’s John Glenn College of Public Affairs and member of the College of Engineering’s Ohio Manufacturing Institute. 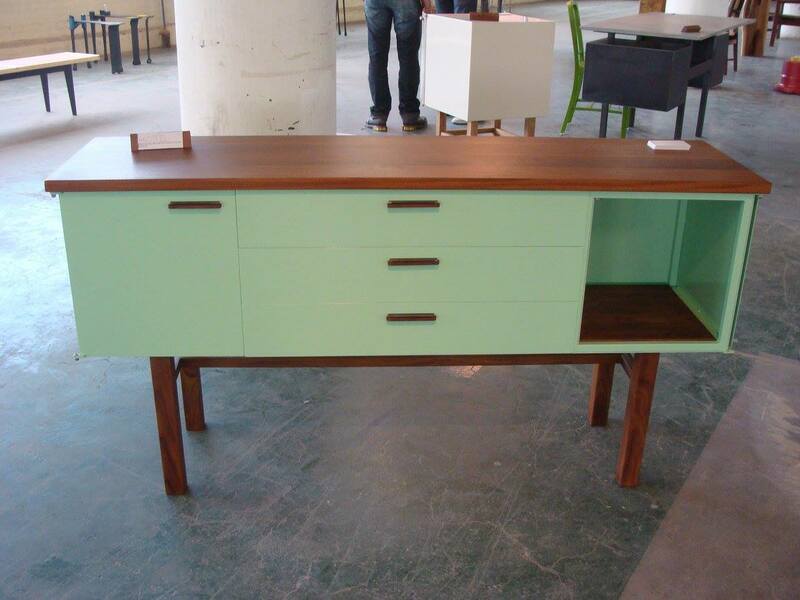 In two weeks, the F*SHO, a contemporary furniture show and brain child of Jason Radcliffe of 44 Steel, will be coming to HGR Industrial Surplus. Join us Sept. 15 from 5 p.m. to 10 p.m. at 20001 Euclid Avenue, Euclid, Ohio. Entry is through the back of HGR’s building. There will be approximately 30 furniture designers showcasing their work while a DJ spins tunes, and food, courtesy of SoHo Chicken + Whiskey, and beer flow freely. Everything’s free, except the furniture! In 2015, Jason competed in FRAMEWORK, a furniture and design reality-TV show, hosted by hip-hop superstar Common on SPIKE TV. The winner of that show, Jory Brigham, who also teaches furniture building, will be coming from California to premier a new piece at the F*SHO, and Jason will be heading to California to teach a class at Jory’s studio. 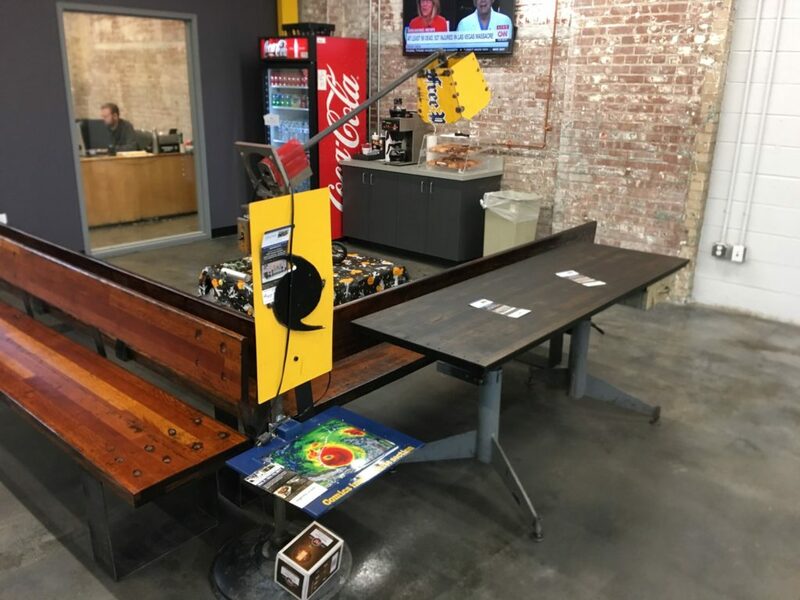 In addition, you will have a chance to win a piece of furniture designed by either Jason Radcliffe, 44 Steel, who works with steel, or Aaron Cunningham, 3 Barn Doors, who works with wood. They will select items from HGR’s showroom to use in the furniture design then will be building the two pieces live at Ingenuity Festival on Sept. 22-24. Contest details to be announced shortly. Stay tuned! Come join in the fun on Sept. 15, 2017, from 5 p.m. to 10 p.m. at HGR Industrial Surplus, 20001 Euclid Ave, Euclid, Ohio! 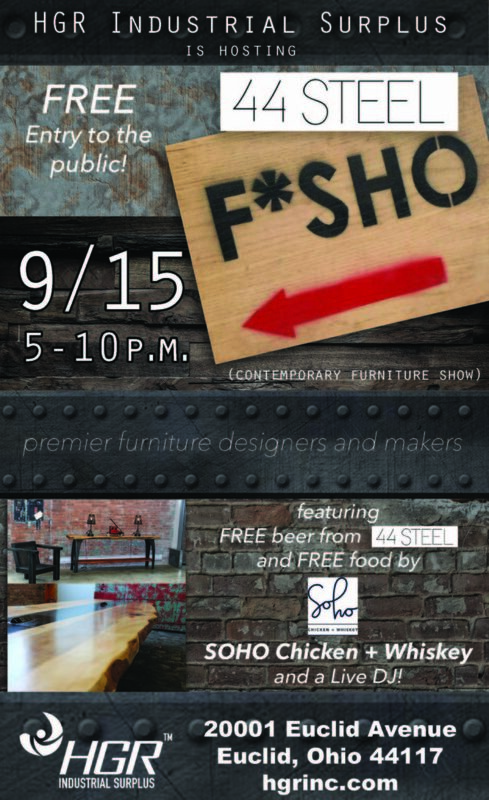 We are pleased to announce that HGR is partnering with Jason and Amanda Radcliffe of 44 Steel to host this year’s F*SHO, Cleveland’s premier contemporary furniture show that features work from local designers and makers. Free parking, free admission, free food and beer! A DJ will be spinning some tunes. And, Dan Morgan of Straight Shooter will be photographing the evening. Food will be provided by SOHO Chicken + Whiskey. Beer will be provided courtesy of 44 Steel. 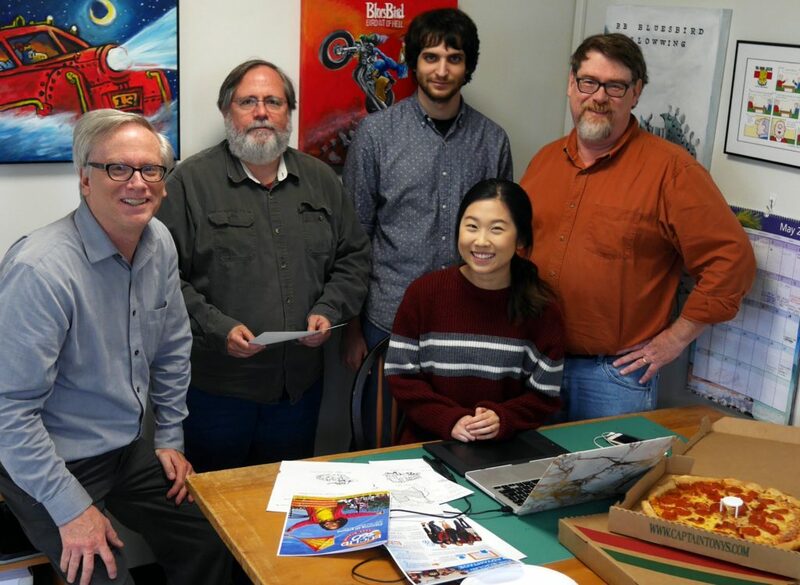 Lily (shown seated in the photo) heads off to Ohio State University in late August where she’ll enter a rigorous graphic arts program and focuses on user experience in media design. Act 3 is always looking for interns (that could lead to a paid opportunity) to work with the Act 3 team – to grow, to create, and to “look around” at all that is on our horizon. Contact info at Act3creative.com. A new communication vehicle has launched to inform businesses, residents and those with an interest in Euclid, Ohio – and HGR Industrial Surplus is a sponsor of the Spring/Summer 2017 inaugural edition in its native city. The venture is called Euclid360, and it challenges current and prospective residents and businesses to “Look Around” at what “The Lakefront City” offers. Euclid360 is a print publication, a mobile-optimized website, and a growing collection of three types of interactive videos – aerial, time lapse and virtual reality (360 degrees). The print edition of Euclid360 hits the street twice per year with spring/summer and fall/winter issues. A bright, young contributor to the inaugural issue was Lily Li, a senior in Euclid High School’s visual communications career-tech program. Lily’s digital illustrations graced several pages of the print issue and appear online at Euclid360.com. 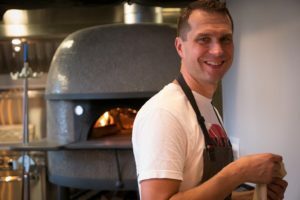 Who are the owners of Citizen Pie? What did you each do before forming Citizen Pie? Vytauras (aka V) was the owner and chef at Americano in Bratenahl Place. Claudia was in the music business in Nashville. Paulius owns The Velvet Tango Room. Why was Collinwood selected as your location? Paulius grew up in Collinwood. Alan Glazen of GlazenUrban, a private community development corporation, brought us to the location, and we liked it. Collinwood, and Waterloo specifically seemed like a perfect spot for our first location. We could start small and grow with the community. We have grown to love and respect our neighborhood. It is filled with so many great people. 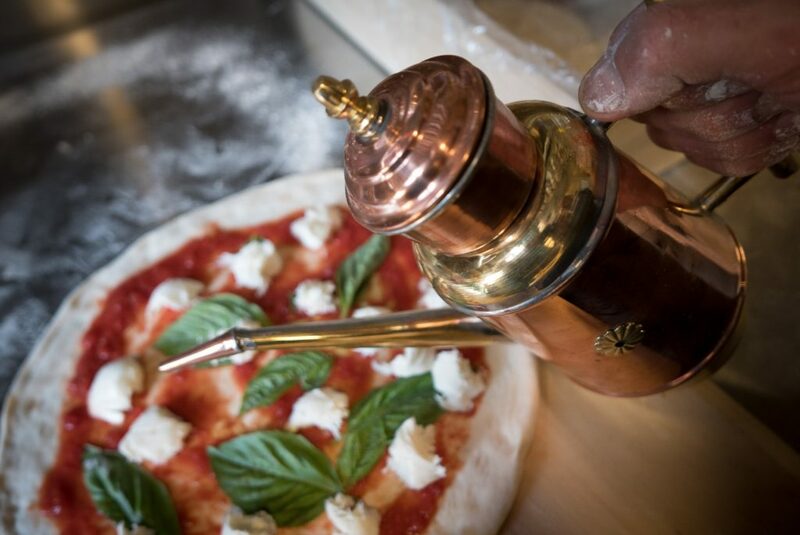 What made you decide to go in together and open a pizzeria? 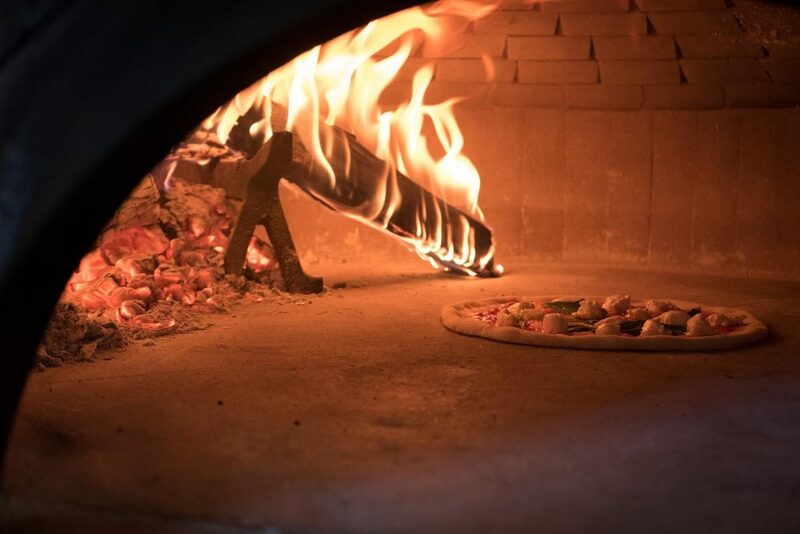 We have been close friends of V, and he wanted out of the restaurant business since pizza was his 10-year hobby, and we just thought it sounded like a great idea to open a shop. 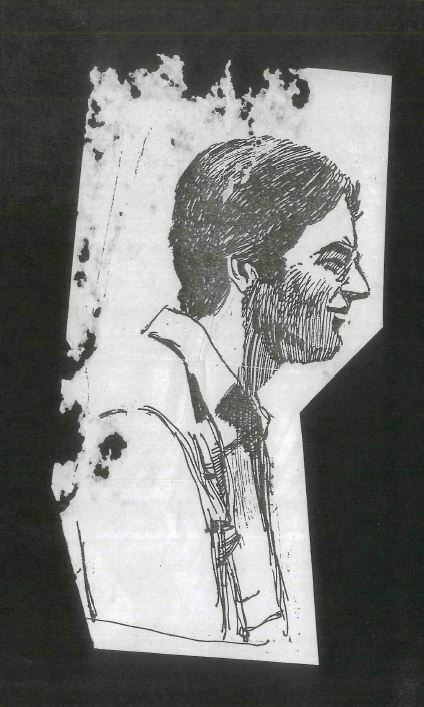 Again, Alan Glazen was very instrumental in coming up with the idea to do the pizzeria. It just made sense. We all said “yes” and never looked back. Of all the toppings that you can put on a pizza, how was the menu decided? That’s all V. He tends to get his best inspiration in the shower. But, really, V has a brilliant mind when it comes to food. He is an amazing talent. I hear that your pizza sells out fast. When’s the best time to come by? No slices are available. We sell 12-inch pies only. We rarely run out of dough, but it has happened about a dozen times in 18 months. We always have one rotating special – about one per month. How does V stay so thin eating all that pizza? Why is the shop called “Citizen Pie?” I know V grew up under Soviet occupation. The name came to me, and I just really liked it. The name Citizen Pie is really not about V’s life in Lithuania. What do you do when you are not making pizza? V is a busy man with two active kids and a big yard, but he loves to cook. It’s his true passion. He is also a big Cavs fan! Any plans to franchise or open additional locations? Yes. We are opening this summer on W. 25th St. We’re under construction right now. Where do you buy most of your ingredients? Every ingredient we use is seriously considered. You just have no idea… so, our sources are pretty spread out. Where is the next place you want to travel? 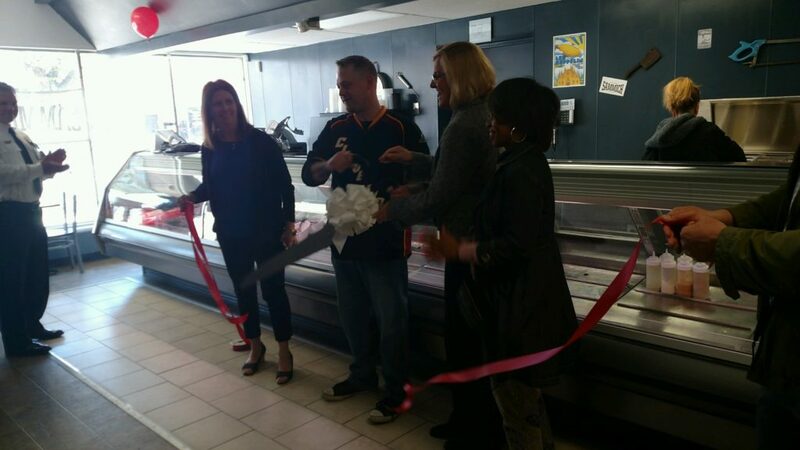 After the ribbon cutting, members of the community started ordering sandwiches. Um, I mean sammiches. And, these aren’t your average sammich. Definitely not Subway. Carter uses local, fresh ingredients and cures and smokes his own meats in-house, including house-made sausage. I tried the HOT pickled vegetables with cucumber, celery, Spanish onion and carrots, as well as the cucumber salad made with Spanish onion, red bell pepper and dill. My sandwich was Sammich’s version of Vietnamese bahn mi called Cung Le. Since I don’t eat bread, they made mine as a lettuce wrap. It was amazing — huge and full of Vietnamese sausage, roast pork, cilantro, fresh-sliced jalepenos — seeds and all — and house-made kimchi. The sandwiches are wrapped in butcher paper and usually served on fresh-baked Orlando hoagies. 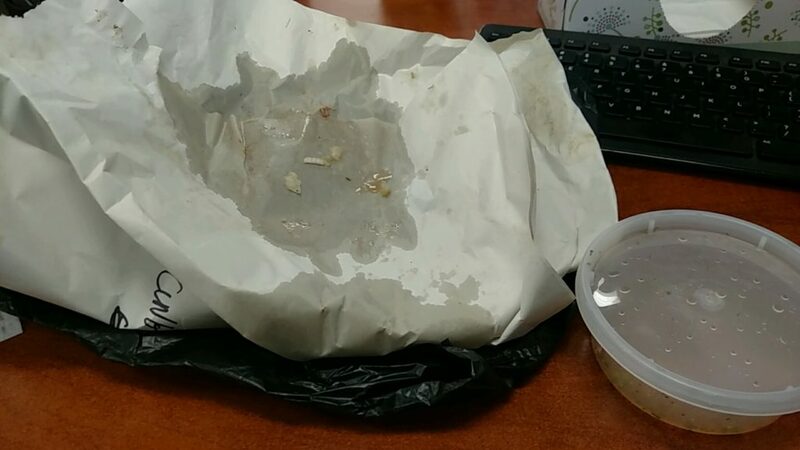 I was going to take a picture of my food but I was so busy wolfing it down that I forgot. So, how’s this for testimony as to how good it was? It was a gloomy overcast day out at Lakeland Community College for the 2017 AWT RoboBots Competition, but the future looks bright for the students on “The Untouchables” robotics team at Euclid High School. They worked all year at perfecting their weapon, and with early tests it looked like it paid off. The Untouchables were in the pit making last second adjustments while awaiting their match. They looked nervous but eager to see their bot in action. The morning’s matches began with big hits and fast finishes. The weapons were causing a lot of damage and some matches were over after the first hit. It was Euclid’s turn to step into the octagon. Their weapon looked as impressive in their first match as it did in the test runs. As the bots charged each other, The Untouchables’ weapon struck the first blow hitting the team from Perry, Ohio, hard and disabling their weapon. After a few more hits, Perry was sent scrambling around to try and recover without a weapon. Unfortunately, the drive system for Euclid started to fail, and their mobility was slowed to a plodding stumble. They could hit Perry hard enough to knock them out, but couldn’t move enough to target them. Perry took advantage of this by maneuvering around them and eventually pinning Euclid to the side a few times, earning them points from the judges. Even when Euclid used their one release, Perry was able to use their agility to once again pin The Untouchables. That proved to be too much for the team from Euclid, and they lost a judge’s decision in the first round, which sent them to the consolation bracket. They were disappointed in the pit. Their weapon could do the job, but moving was an issue and needed remedied. They all jumped on a task and got to work immediately. Time was an issue with the next round beginning in 20 minutes. They had to recharge and make improvements on the fly. Before you knew it, the announcer was calling Euclid to the set-up and weigh-in table. They tested the movement, and it seemed to have improved some, but not to the point they had hoped. It was do-or-die time for The Untouchables. Their next opponent was a team from Pennsylvania, and Euclid wanted to show what their bot was made of. From the start, the bot wasn’t moving how they wanted it to; so, they planned their attack around their inability to move. The other team worked hard to move around them and hit Euclid hard with their weapon, which sent Euclid’s bot up in the air. When it landed, however, Euclid’s weapon made contact with their gear and knocked their weapon offline. The Pennsylvania team tried to maintain the aggression and pin The Untouchables, which resulted in a few points from the judges. There were just seconds to go when the Pennsylvania team tried to approach one last time. It proved to be their undoing. Euclid’s weapon caught the other team’s bot hard and sent it through the air for a last-second knockout in dramatic fashion. The Untouchables would live to fight another round. The stage turned to the JuniorBots Competition which gave Euclid over an hour to work on their bot. Coming off their exciting victory, they wanted to get the bot back into the best shape for their next match. Euclid won on a forfeit due to the power failure of the other bot. They needed to win a few more to battle back into the finals bracket, and their next match was a tough one against Kirtland. Kirtland‘s bot was fast and compact. The weapon was similar to Euclid’s but smaller and more direct in its attack. From the start, Euclid still was moving slowly but adapting well with a defensive strategy. Kirtland was moving around Euclid as if it were testing their defenses. After a few small hits, Kirtland went in for the kill. Euclid took the first few shots like a champ, but their weapon couldn’t lay a good hit on the faster, more agile bot. The Untouchables bot was fighting, but pieces were being torn from it by the other team’s weapon, and its bot was so low to the ground, Euclid couldn’t lift it when it did make contact. As buzzer went off and its bot lay in pieces, The Untouchables day was over. As I walked out at the end of the day and looked at the sky, it was still gloomy and overcast without a single ray of sun. As I look to the future of Euclid High School robotics, it looks very bright. They have a weapon to be reckoned with and small improvements to be made to the drive system. When it all comes together, I may be writing this same article next year, with a very different outcome. 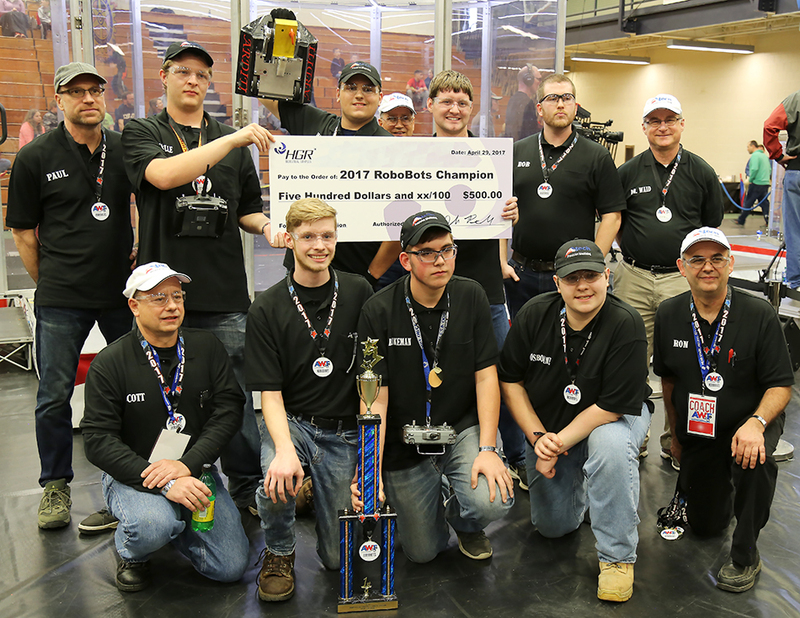 This year’s winners were repeat champions from 2016, The A-Tech Machinists from Ashtabula. They defeated Beaumont in the final round to go undefeated for the regional bracket and are on their way to the state finals. As a reward, they received the $500 scholarship from HGR Industrial Surplus, which I presented to the winning team. We get questions all the time about what we do, and people are curious about what we sell. 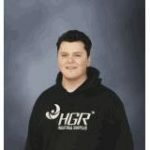 So, we put together this Top 10 list of interesting tidbits, trivia and fun facts about HGR for your enjoyment. HGR Industrial Surplus buys new and used machinery, equipment, furniture, supplies, fixtures, shelving and more. You name it, we’ve sold it. Yes, even rugs, leather, wine glasses, printer ink cartridges, pottery molds, sinks, tile and more. What’s the heaviest item that you’ve ever sold? A large press that weighed 150,000 pounds! What’s the most expensive item that you’ve ever sold? What’s the oddest thing you’ve ever bought? What do you sell the most of? Euclid had the building that would work for us. We were able to commit to the space we needed at the time, while also having options to grow. It was perfect for our short- and long-term plans. 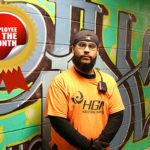 Who was your most recent employee of the month? Who’s the employee who’s been there the longest? There are 11 employees who have been here since the beginning, 19 years ago: Founder Paul Betori, Buyer Jeff Crowl, Partner Rick Affrica, Buyer Jim Ray, Partner Brian Krueger, Showroom Floor Supervisor Rich Lash, Sales Rep Steve Fischer, Receiving Supervisor Chuck Leonard, Partner Ron Tiedman, Sales Admin Libby Dixon, and retired Buyer Doug Kopp. Brian and Ron started in sales and now are part owners, while Rick started as a buyer and now is a part owner. 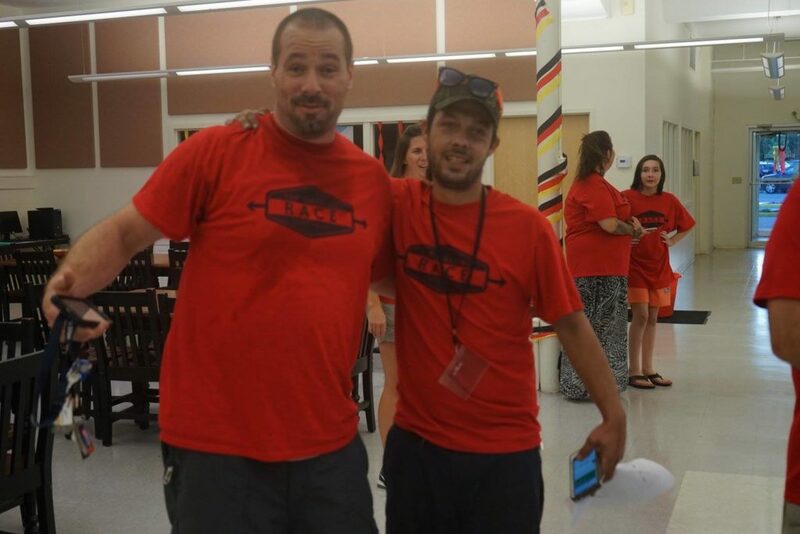 Chuck and Rich started as forklift operators and are now supervisors. 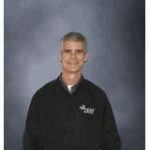 Jim, Jeff and Steve have retained and expanded our clientele with their wisdom and mentor our buy and sales staff. Libby has consistently been our dependable sales admin and customer greeter. Who’s the employee who drives the furthest? We have employees who drive in from all over, including Cuyahoga, Medina, Summit and Stark counties, the far eastern suburbs, as well as Pennsylvania. Chuck Leonard, receiving supervisor, lives in Erie, Pa., and drives 93 miles to work on Monday morning and 93 miles home on Friday night. The rest of the week, he stays 40 miles away in Geneva at his mom’s house. He’s done this for 19 years! That’s dedication. Andrew Ciecerko, inventory clerk, lives in Williamsfield, Ohio, near the Pa. line. He drives 70 miles each way every day. Thanks for reading! Do you have other questions about HGR that you would like answered? 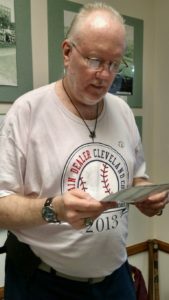 In 1985, The Greater Cleveland Slo-Pitch Softball Hall of Fame began inducting members into the hall at its annual banquet. This continues to be the case today. 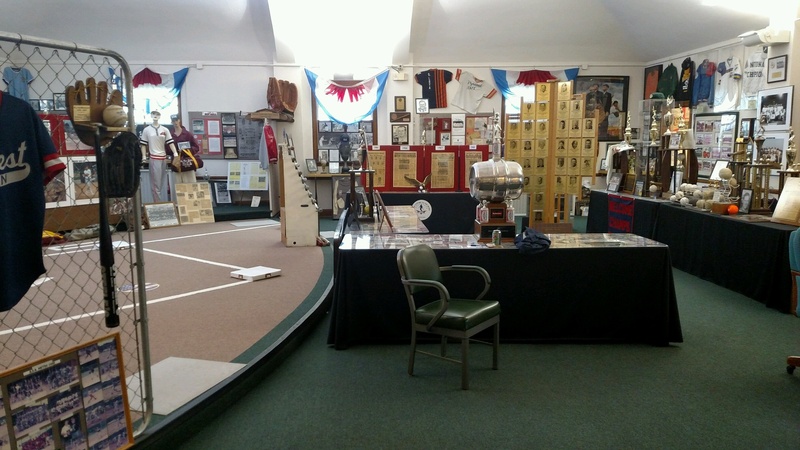 But, in 1997, Founder Buddy Langdon and his partner had an idea for a hall of fame and museum in order to share the history of softball with the public. Originally, they planned to make it a mobile exhibit that could travel around the country by bus. Later, they approached the Cleveland-Style Polka Hall of Fame and Museum, then located in what is now the Shore Cultural Centre in Euclid, Ohio, to pitch the idea that both museums be housed in the historic, former Euclid City Hall building that the city had planned to condemn and demolish. In 1998, both museums set up shop at 605 E. 222nd St., Euclid, Ohio. 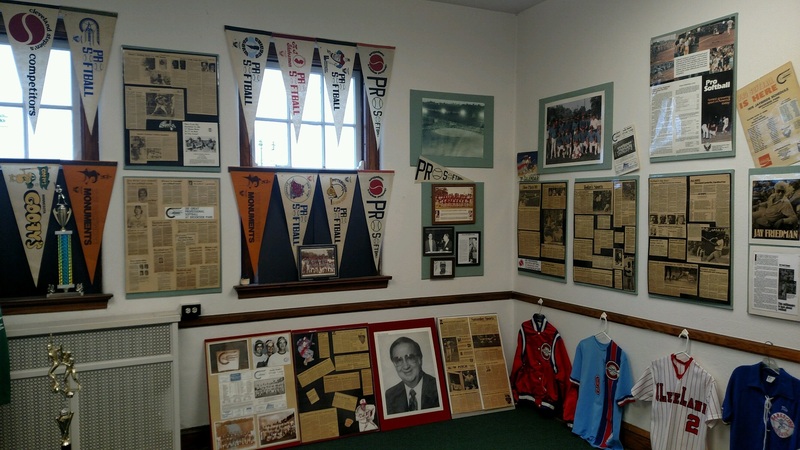 The softball hall of fame decided that Euclid was a central location between the furthermost east and west sides, and the city had teams that played in the biggest and best leagues. The museum is a nonprofit that is funded through ticket sales from its induction banquet, donations from visitors and an annual raffle fundraiser. When I visited, I learned so much about the sport and the history of the area. The first slo-pitch team was formed in Cleveland in 1939 by the Jewish Recreation Commission. As Curator Rich Yonakor explains, “Since they celebrated the Sabbath on Saturday, it was something for them to do socially on Sundays. They decided to make the ball bigger and slower since everyone was not able to hit a baseball. Gambling occurred, as the community placed bets on the outcome of games. They decided to open the games up to the public.” One of the first softballs was made at a YMCA by taping up a ball of socks. By the 1960s and early 1970s, there were 280 local teams competing in a single elimination tournament to go on to the world championship. Later, the tournaments changed to double elimination, and instead of one champion, one team comes out of every governing body and league. In 1975, Cleveland’s Pyramid Café team won the first world championship for the city. In softball’s heyday, most teams were sponsored by bars, restaurants and the unions within companies. 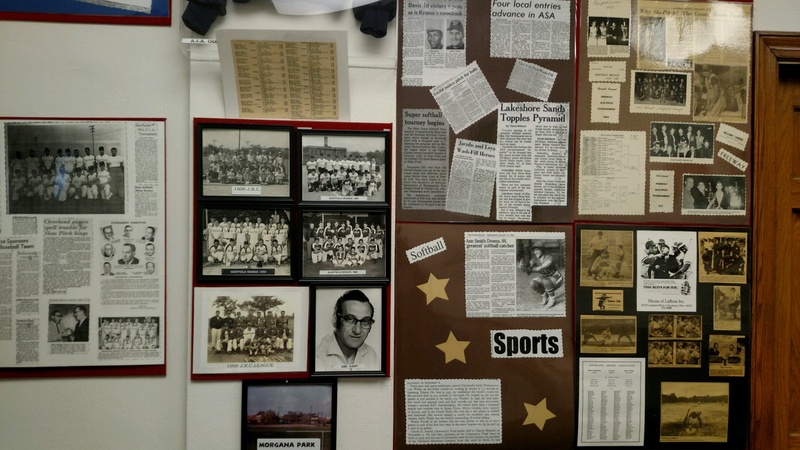 HGR Sales Associate Andrew Pringle’s grandfather, Douglas Pringle, played softball in the 1960s and was inducted into the hall with his team. Many people don’t know the difference between fast pitch and slo-pitch. Women’s fast pitch is played at the high school and college level where the pitcher winds up and throws the ball hard and fast in a straight line. The pitcher also is six feet closer to home plate. In slo-pitch, the ball is lobbed in an arch of 10 feet to 16 feet, depending on the governing body. Most have a rule of 10 to 12 feet. There are a multitude of governing bodies, and each has different rules regarding the type of bat used and the pitching arc. Today, the sport has experienced a decline in popularity that Yonakor attributes to the electronic age where people are not getting out to play sports as much. He says the materials have changed dramatically and that “often the equipment is doing all of the work for them, not like in the old days when it was about competition and exercise. No one got hurt, and they all went out afterwards.” Now, the ball is harder; therefore, players can hit it further and over the fence for more home runs. The leagues have actually had to limit the number of home runs in a game on this account. 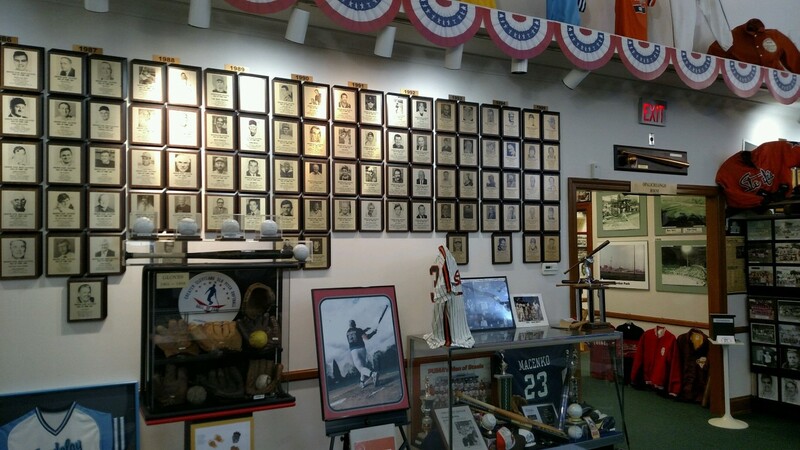 If you are a sports enthusiast, which you must be if you got to this point in the blog, when you stop to visit the museum, you can talk softball, baseball, basketball AND football with Yonakor. Does that name sound familiar? Yep, he’s the son of football legend John Yonakor, a member of the 1946-1950 All-American Football Conference Cleveland Browns. His father took him to every Browns home game from when Yonakor was four until he was 17. John Yonakor was originally drafted into the NFL Philadelphia Eagles, but Paul Brown offered to pay him more, $9,500 per year as opposed to $7,500. He also played in Canada for a year, with the New York Yanks for a year and with the Washington Redskins for a couple of years. His son, Rich, was recruited six years ago to assist Langdon in running the museum. When Langdon passed away, Yonakor took over. Rich Yonakor played NBA basketball for the San Antonio Spurs and then professional basketball for overseas teams, including Italy, France and Belgium, for a few years. He also was the softball director for the City of Euclid. HGR loves to support the Euclid community. If you live or work in the community, you might be interested in attending a comedy show and Chinese auction on Apr. 22 at Kiddie City, 280 E. 206th Street, Euclid, Ohio. The show starts at 7:30 p.m. with three local comedians. Snacks, beer, wine, pop and water will be included. It’s only $27 per couple and is tax deductible since it’s a fundraiser for Kiddie City, a 501 (c)(3) nonprofit in Euclid since 2006. This fundraiser occurs so that Kiddie City can continue to create a lifelong love of learning for children in its teachers’ care. I was planning a business lunch to talk about the Waterloo Arts District, redevelopment, travel and other things with a colleague at The City of Euclid. 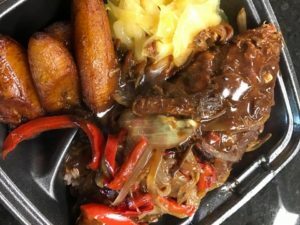 When I asked where we should go, she suggested a new Jamaican restaurant that people are raving about on E. 185th Street: Irie Jamaican Kitchen. This small, cafeteria-style takeout is decorated in the bright colors of Jamaica (black, red, yellow, green). There is bar-style seating with a few stools, too. We dined in and got to meet Omar, the owner, and chat with him about his inspiration. It turns out he went to Cuyahoga Community College and Kent State University for culinary arts and hospitality management. He worked at restaurants his entire life. Three years ago, he decided to fulfill his dream of owning a restaurant and working for himself. He opened Irie Jamaican Kitchen at Richmond Mall. One month ago, he moved to Euclid, where he currently lives, because he loves the community and felt it would offer a great customer base. So far, he’s doing well. And, we can see why! Everything was fresh, tasty and full of flavor. There was so much to choose from, including healthy options. You could get a bowl (Jamaican version of Chipotle) with either salad or rice as the base. I got a salad bowl with jerk chicken, vinegar cucumber slaw, pineapple coleslaw and heavenly, carmelized, fried plantains. I also ordered a cup of thick, rich chicken-feet soup. 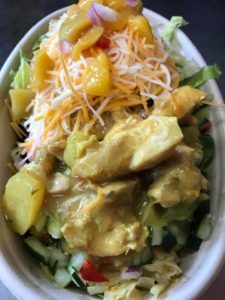 My colleague had a rice bowl with curry chicken, mango salsa, plantains and sour cream. I wanted to try the fish stew in brown sauce, but there will always be another time. Heading into competition Apr. 29 at the Alliance for Working Together’s RoboBots competition at Lakeland Community College, Euclid High School’s team and coach are hard at work. The frame and the armor are complete. The wheels are on, and the skids are mounted in the front. The weapon and axle are being finalized this week and, hopefully, mounted. We will then mount and attach the motor for the weapon. We need to make sure we have the correct fly wheels and belts. Then we need to run the inside electronics. We are continually doing quality inspections before proceeding to the next step so that the robot holds up this year in competition. We should be complete in about two more weeks, then five to six weeks of testing and tweaking. 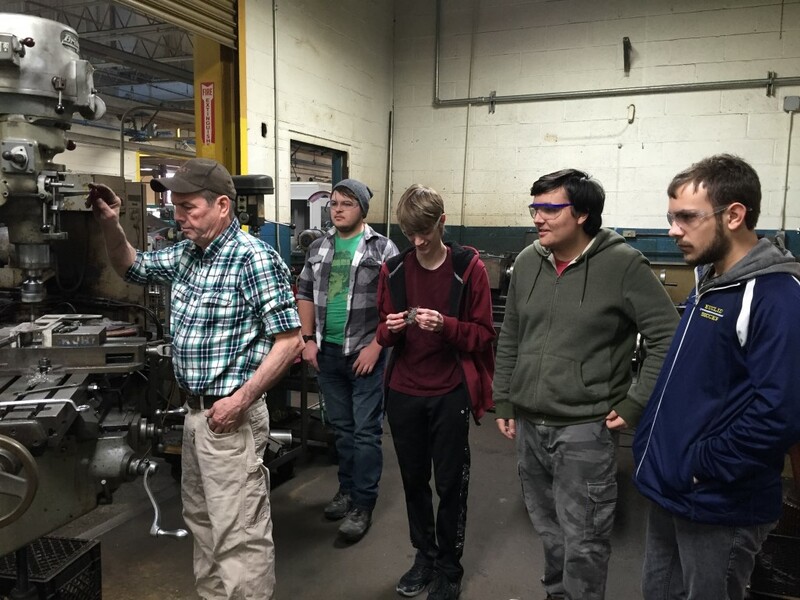 The students asked for one of the titanium rail holes to be enlarged, and Gary (pictured in photo) gave them a lesson on what it takes to properly enlarge the hole evenly and proportionally. They also gained experience using a band saw, a jigsaw and many other tools that they had never explored before. Go Team Euclid! 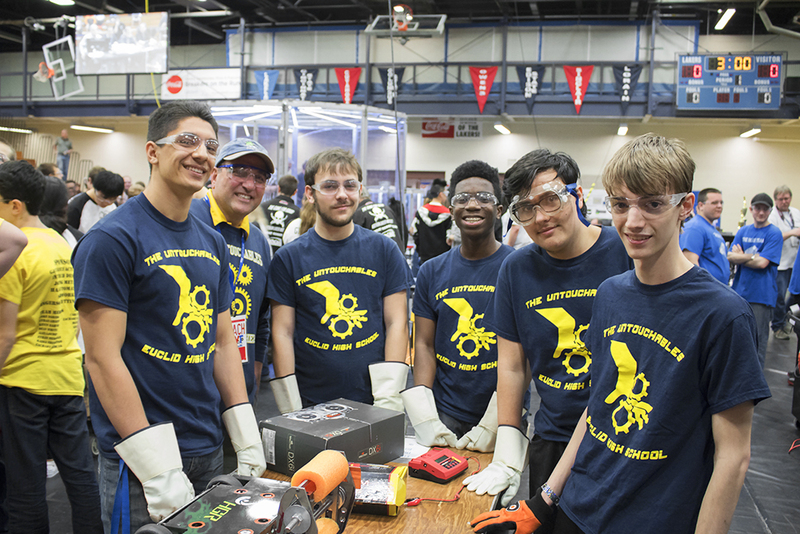 HGR Industrial Surplus is a sponsor for Euclid High School’s team and encourages youth to choose careers in science, technology, engineering and mathematics, including manufacturing, welding, machining and other high-tech trades. 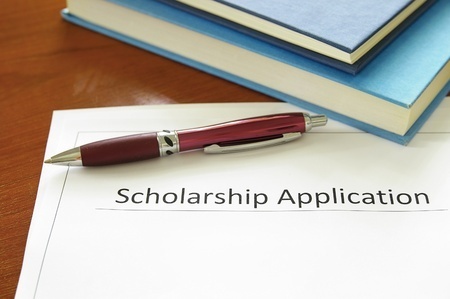 HGR Industrial Surplus Inc. annually awards a scholarship to a high school senior who has been accepted by an institution of higher education for the next academic year to pursue a degree or certification in a STEM (Science, Technology, Engineering, or Math) field. This includes, but is not limited to, the fields of engineering, engineering technology, electrical, mechanical, welding, manufacturing, or construction. 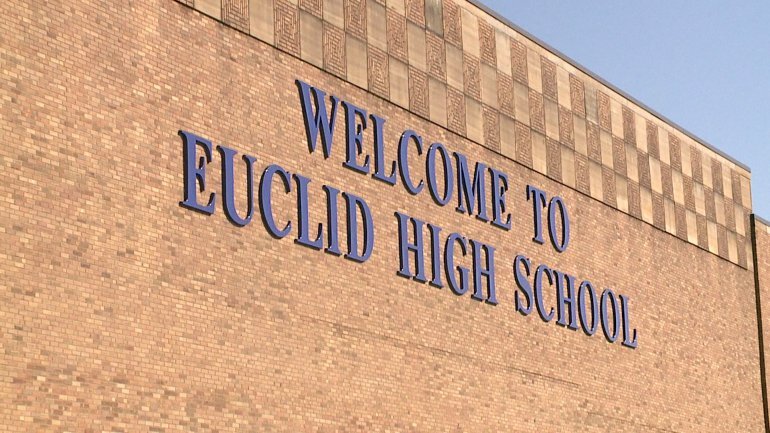 This year, one student from Euclid High School will be awarded a $2,000 scholarship. 1. The applicant must be active in any facet of STEM (Science, Technology, Engineering, or Math). 2. The applicant must be in good academic standing at his or her high school. 3. The applicant should be a senior. 4. The applicant must be accepted into an institution of higher education or a trade or technical school for the next academic year. 5. Financial need will be considered. 1. A completed scholarship application. 3. A 350-word statement explaining why this scholarship is important to you, including your financial need. 4. A minimum of one letter of reference. Up to three letters of reference will be accepted. Letters of reference should be from teachers, counselors, coaches, employers, mentors, etc. rather than from family or friends. 5. Scholarship Submission Deadline: All materials should be submitted here by April 15, 2017. The company is a heavy-gage metal stamper. That means that it takes flat sheets of metal or metal that comes in a coil (picture the rolls of steel that you see being transported on trucks on the freeway), puts it in machine that feeds the steel into the stamping press that goes up and down with a huge amount of force to generate a component or finished product at the end of the machine. But, Stamco is a job shop, which means it doesn’t have a product of its own or actually make the brakes. It buys supplies from a warehouse that buys the raw material from a metal manufacturer. Then, it provides a service by making a component at the request of a supplier. That supplier makes the finished product (brake or brake component) to sell to another supplier that assembles it then sells it to the manufacturer who makes the vehicle. Did you know that many companies are involved in making a vehicle’s brake system that keeps you safe on the road? The presses that Stamco uses to manufacture these parts are medium to heavy tonnage, which means they are large and powerful. 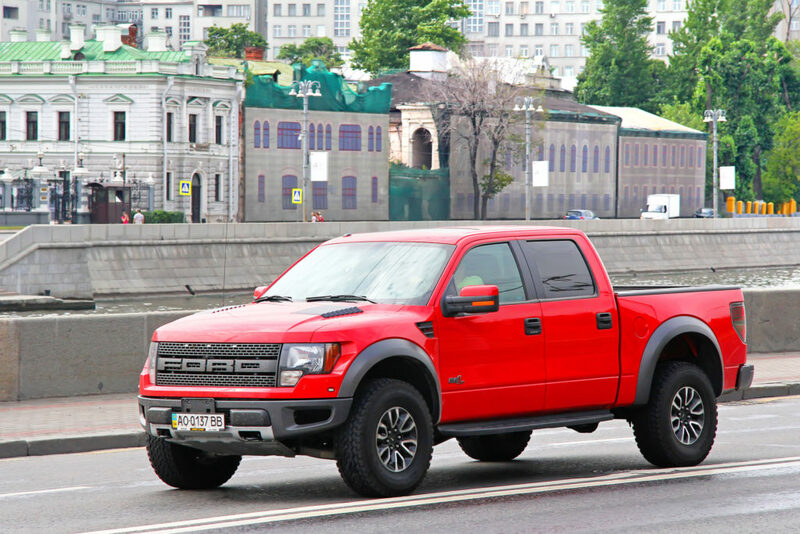 For example, a Ford F-150 can carry 1.5 tons of cargo. These presses have a 3,000-ton capacity. The parts being manufactured are larger in size and weigh as much as 20 pounds each. Because of this, 80 percent of Stamco’s customer base is within 500 miles; although, it does export to Belgium, India, Mexico and Brazil. And, for the same reason, the main material that Stamco uses – steel – is purchased from local steel warehouses that purchase it from ArcelorMittal USA in Cleveland’s Flats. This creates a strategic advantage due to much lower transportation costs. You may be familiar with the term “tool and die.” The unit put into the press to stamp the part is called a die. Stamco makes some dies, purchases others, and is provided with dies by the customer that is placing the order. Therefore, the company employs a full staff of tool-and-die makers, engineers, designers, machine operators, die setters and lift-truck drivers. “The company was developed with a teamwork philosophy. Employees learn to operate a certain press then are assigned to other presses in order to crosstrain on other pieces of equipment,” Sopko says. With regard to the company’s forseeable future, he states, “Our greatest challenge is finding experienced engineers and tool-and-die makers, and in next couple of years we will have people retiring. I am conscious that the skilled workforce pool is smaller than it was before, and we will be looking for new people.” He shares that for Stamco, as well as other local manufacturers, 2015/2016 was slow but he believes business will pick up a bit in 2017. At the end of 2017 and into 2018, Stamco has new projects scheduled and will be busy. That’s great news for the local economy! 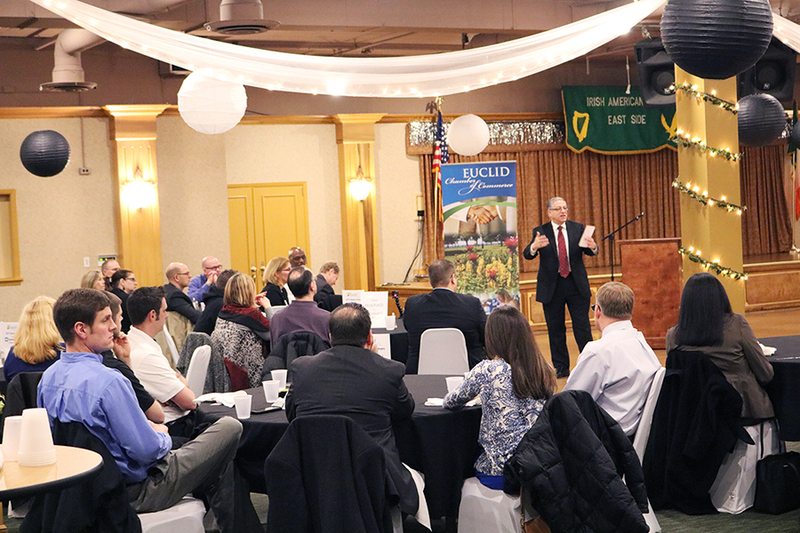 On Jan. 26 at the Irish American Club, 22770 Lakeshore Blvd., Euclid, Ohio, The Euclid Chamber of Commerce and COSE hosted a special event with Keynote Speaker Armond Budish. Euclid Mayor Kirsten Holzheimer Gail made the introduction. She thanked the chamber and local business for their commitment to economic growth. Budish took the floor to discuss the county’s investment in small-business growth and community development, including road and bridge work, removing blight, city master planning, and public safety efforts. He mentioned that the county is working to create a master data center for law enforcement in order to integrate separate systems when an officer is pulling over a motorist. In addition, the county is installing license-reading cameras on thoroughfares that, in real time, will alert law enforcement in the community so that they can apprehend an individual in the event of a warrant or search effort. The creation of a one-stop shop for public benefits that will integrate offices with a career planning coach who will stay with the applicant through his or her career path. Interested in driving one of these? Do you know someone 18 years of age or older who is looking for a career that offers him or her independence away from an office environment? There’s a gem right here in Euclid that might help – Cuyahoga Community College’s Truck Driving Academy. 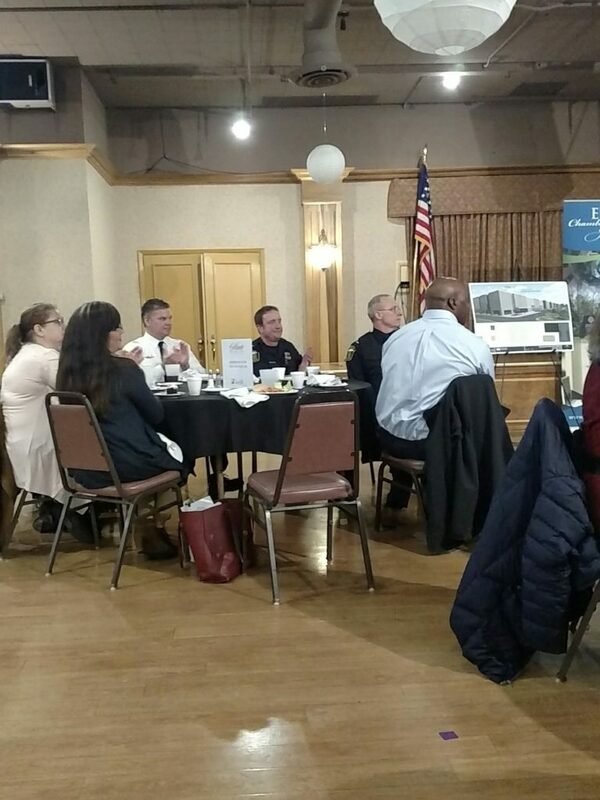 On Jan. 24, The Euclid Chamber of Commerce hosted its monthly Coffee Conversation, open to chamber members and the community, at the Truck Driving Academy, currently rebranding as the Transportation Center. 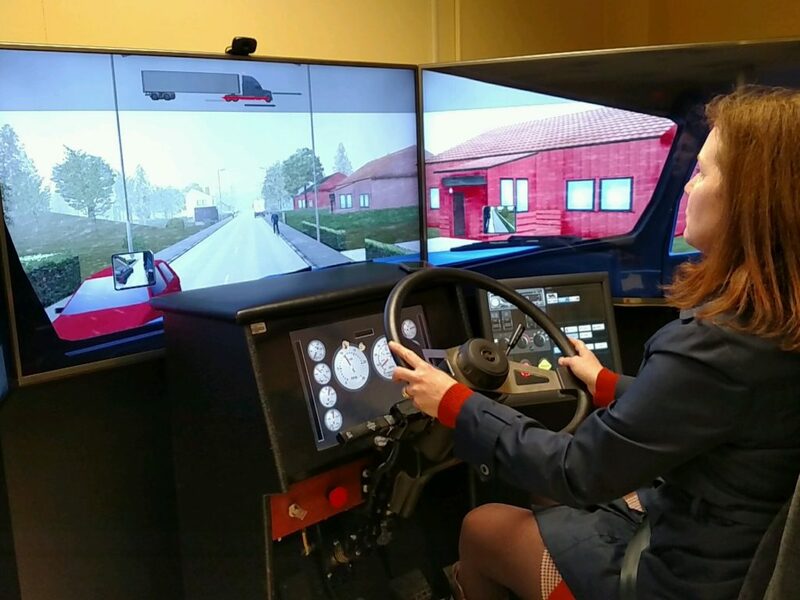 Attendees met Director Ian Wilson, were given a short presentation about the program, and were given the opportunity to experience a commercial-driving training simulator. Two attendees braved the virtual roads and encounters with rain, fog, snow, ice, cyclists, motorists and other hazards. Wilson explained that the college is moving away from simply being a truck driving academy and starting to offer programs in supply chain and logistics, as well as a diesel tech program in order to become a full-service transportation center. 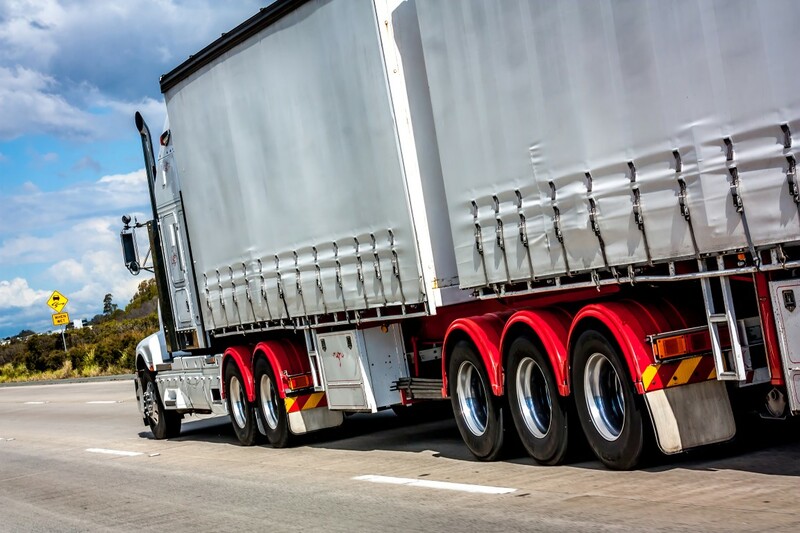 Currently, students can earn a Class A or B commercial driver’s license that allows them to drive a full truck, a car hauler, a gas truck and others, as well as a school bus or forklift. To assist with making learning accessible, the college recently bought and modified a 53-foot semi-truck and trailer into a mobile trailer for manufacturing training. Half of the trailer is a classroom. The other half is a lab. This way, the college can take the classroom to students who may be working onsite at a manufacturing facility and are not able to get away for the day. It also can go to schools to conduct outreach demos for high-school students who may be interested in a transportation or manufacturing career. 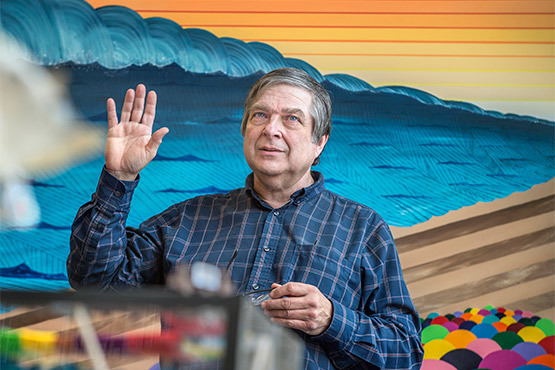 As Wilson explains, Cuyahoga Community College located the academy in Euclid, Ohio, as part of a manufacturing region with easy access to transportation junctures as well as local manufacturers. The academy has even trucked equipment from the college’s own maintenance department own the road to HGR Industrial Surplus for consignment. 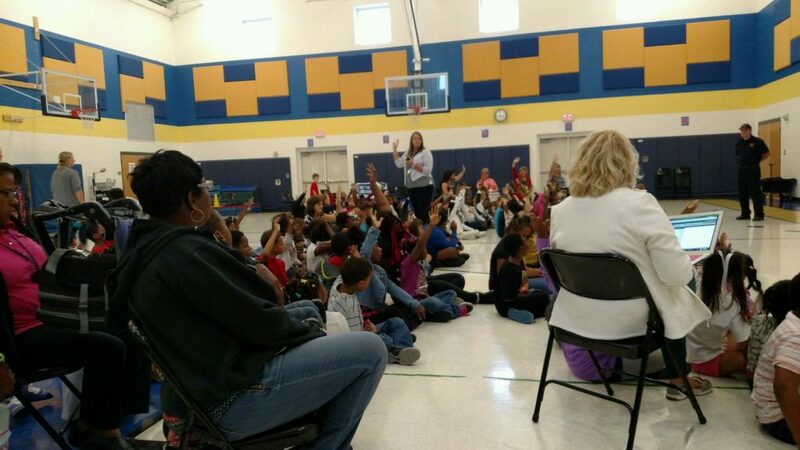 The Euclid City School District secured passage of Issue 111 this week. This successful effort will allow the schools to rebuild their high school, build a new middle school, construct an Early Learning Village on the site of Forest Park Middle School, improve recreational facilities at Sparky DiBiasio Stadium and Memorial Park, and convert the Central Middle School property to a MetroPark. “Thank you to our Euclid community for believing in our school district and passing Issue 111. We have secured a much brighter future for our district because of you! We continue to have much work to do to become the district we need to be for our community and students. We will soon begin a strategic planning process to help us collaboratively lend clarity to our immediate future. In the coming weeks, we will communicate these steps and ask many of you to participate in the process. Today, however, let us celebrate a truly significant victory for Our Euclid. The 7.89 mill bond issue passed by more than 1,100 votes and will result in an increase of approximately $16 per month in property taxes for the owner of a home valued at $70,000. The overall cost of the construction will be offset by a $40-million contribution from the Ohio Facilities Construction Commission. The Firefighter Phil program was founded in 1975 by Creative Safety Products to bring fire-prevention, fire-safety and respect-for-authority-figure lessons to grades K-2. 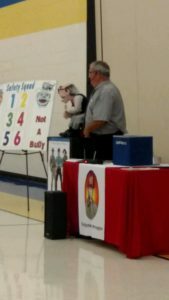 On Oct. 17, 2016, I attended a session of the Firefighter Phil program at Arbor Elementary School that was presented by Firefighter Steve Fleck of The Euclid Fire Department and Ventriloquist Mike Eakins of Creative Safety Products to an auditorium full of first and second graders, their teachers and administrators. Fleck has been a member of the fire department for 25 years and says that they have been hosting the Firefighter Phil program for 18-20 years. What does the program involve? Well, it was one of the most entertaining ways I’ve spent my morning in a long time! The program uses ventriloquists, puppets, magic tricks, humor and audience participation to make learning fun, entertaining and memorable. The puppets change each year for students who may have seen the presentation in the prior year. 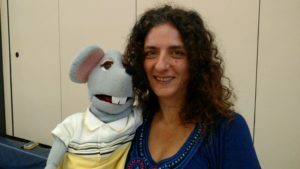 This year, Mac the Mouse and Uncle Vinny taught us a few things that I wanted to share with you. If you remember nothing else, here are the main takeaways. Since we all went through this training as kids, a refresher never hurts. Plus, you can use these tips with your kids and grandkids! Check your smoke detectors monthly by pressing the button to make sure they still are working. Change the batteries twice per year during daylight savings time. After the program, students received a grade-specific activity book to work on with parents, guardians and teachers. The Euclid Fire Department also created a child-sized room called a “smoke trailer” that is funded with donated aluminum cans. When classrooms visit the fire station, children can learn about fire safety in the room and see how smoke fills the room and where it is safe to crawl. 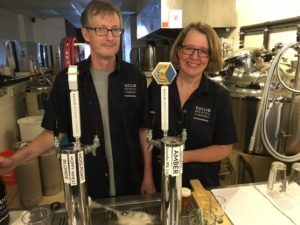 Microbrewed beer and Euclid: it’s all about the chemistry! Q: What did you do before you decided to start your own business? A: Immediately prior to opening the brewery I was principal scientist in Process Chemistry at Ricerca Biosciences in Concord. Before Ricerca, I worked as a chemist in the chemical and pharmaceutical industries for 10 years. And prior to that I taught college chemistry in South Carolina. Kim, my wife and brewing-company partner, is director of communications at St. Paul’s Episcopal Church in Cleveland Heights. Q: Why did you and your wife decide to open a microbrewery? A: There were two main reasons I wanted to open the brewery. The first was professional: I’ve worked for four different companies in my career, and each one of them had been sold at least once. Every change in ownership led to layoffs and churning, which was very stressful for all employees. I figured the only way I would have any job security in today’s economy would be if I started my own company. The only marketable skills I had were making drugs, making chemicals, and making beer. I figured starting a brewery would have fewer barriers than starting a pharmaceutical or chemical company. The second reason I wanted to start a brewery was more personal. I didn’t want to be one of those people who reaches old age and regrets not having tried something risky in his or her life. If I was going to start a brewery I couldn’t wait until retirement; I’d be too old to lift the 50-pound bags of malt! Q: Why did you pick Euclid and your current location? A: Kim and I have been Euclid residents since 2007. We love the fact that we can walk to great restaurants, such as the Beach Club Bistro, Paragon, and Great Scott. We’ve seen a lot of recent improvements in Euclid, and we wanted to be a part of that. 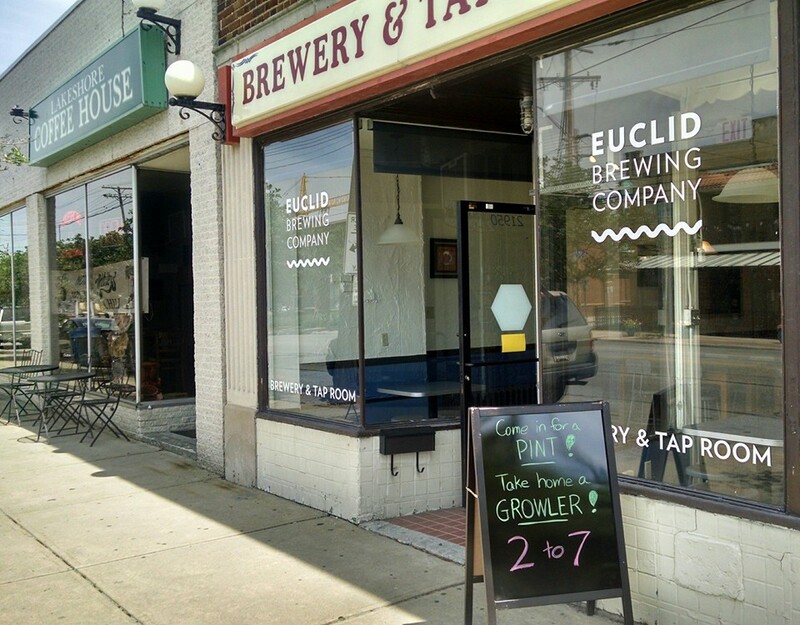 We really wanted a location in a storefront in downtown Euclid because it would allow nearby residents to walk or ride their bikes to the tap room. We hope customers will come from farther away, but we really wanted to focus on being a gathering place for the neighborhood. Locating the brewery in downtown Euclid also had a fringe benefit: My commute went from 19 miles one-way (when I worked in Concord) to less than a half mile! I can walk or ride my bike to work now. Q: How many beers do you offer? Styles? A: Our goal is to always have six of our own beers on tap (We don’t plan to have any guest taps.). A typical line-up would include a lighter beer style, such as a blonde or wheat beer; a pale ale and an IPA; a darker beer, such as an amber or stout; and a seasonal beer or two, for example a saison or pumpkin. Q: Hours and do you offer food? A: Currently our hours are Thursday 4-7 p.m., and Friday and Saturday 4-8 p.m.. We might expand those hours as we learn more about our customers’ preferences. Q: What is your brewing philosophy? A: We prefer to brew traditional styles rather than more exotic beers. 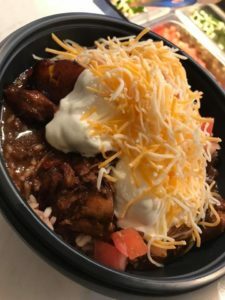 There probably will never be a chili-containing beer on tap at EBC! 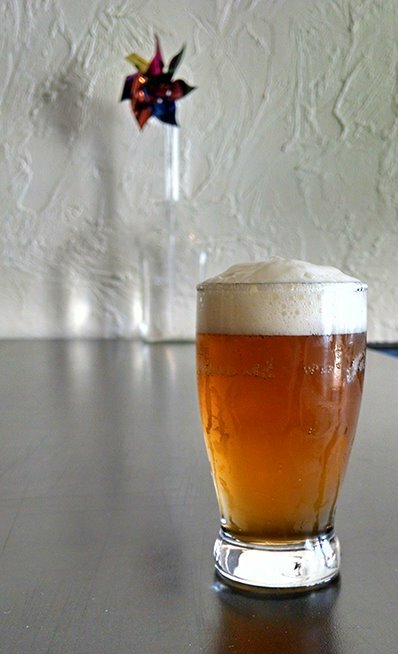 We also want to focus on sessionable beers (4-6% ABV) rather than higher-alcohol styles. The recent elimination of the alcohol cap on beers in Ohio will not affect our beer lineup. 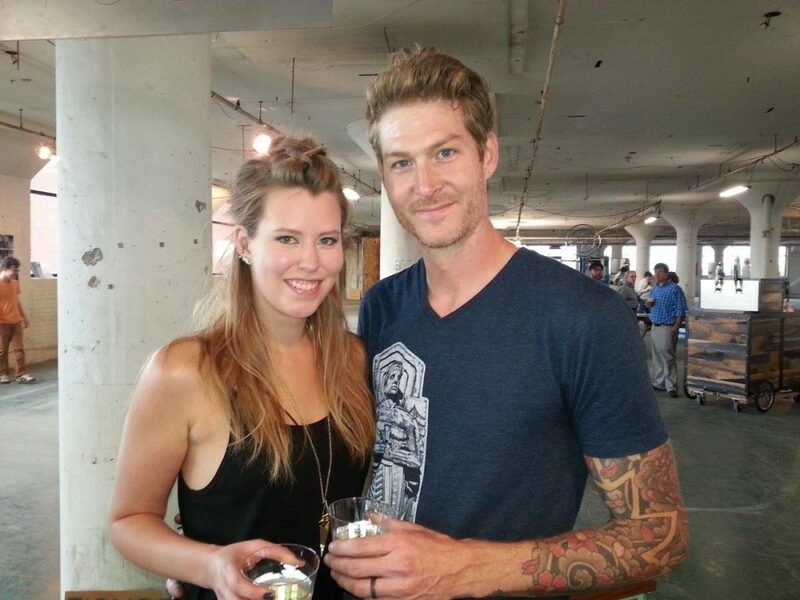 Q: Since I met you at HGR one year ago, how did you hear about HGR and what made you stop by? A: I first heard of HGR from a coworker at Ricerca. He knew I lived in Euclid and asked if I had ever been to HGR. He was adamant that I should go and look around. The first time we went it was an epiphany. I wanted to buy almost everything I saw, but Kim stopped me. It’s an amazing place! We’ve taken our daughter and son-in-law to HGR. They own a design firm in California, and we had to drag our son-in-law out of there at closing time. Q: What have you purchased here, if anything? A: We purchased a butcher-block-top industrial table for Kim to use for her stained glass projects a while back. When we were building the brewery, we looked for a low stand or table for our chiller in the brewery. We spoke to a sales rep who emailed us some options from time to time, but we ended up using cinder blocks! Q: Anything else I missed that’s important and you would like to add? A: I was a home brewer for approximately 10 years before starting EBC. I was bitten by the brewing bug when our daughter bought me a Mr. Beer kit for my birthday. I’ve always called Mr. Beer a gateway kit, the use of which leads to more and more spending on brewing equipment, and before you realize it you own a brewery! Ever have a filling? A local manufacturing company shapes the drills’ cutting edges. William Sopko and Sons Co., located at 26500 Lakeland Blvd., Euclid, Ohio, was started in 1952 in the basement of current owner Bill Sopko Sr.’s parents’ home on East 267th Street. His dad, also Bill, worked in the Maintenance Department at Tapco (now TRW) after returning home from serving in the U.S. Navy during World War II. Prior to the war, he worked at Ohio Ball Bearing Company (now Applied Technologies) in the Spindle Repair Department. Since his father had two young children at the time, one of them being Bill, Sr., Bill Sopko decided to go out on his own and start a business, William Sopko and Sons Co. His wife, Mary, did the paperwork. They picked Euclid as home because it was the perfect place to have a family and establish a business. In the early 1950s, Euclid was booming with industry. Then they had two more kids to make a family of six. 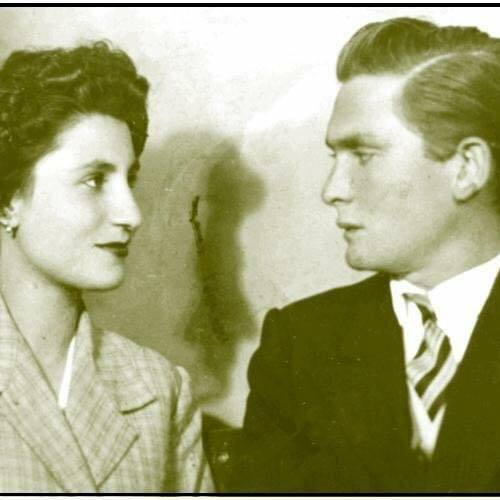 Mary died in 1967 and Bill in 1974. The business still was located in the basement on East 267th Street. In 1971, Bill Sr. graduated from college, got married and rented a small block building on St. Clair Avenue. He purchased a milling machine, saw and surface grinder. Prior to this he had outsourced all of his manufacturing to local shops, many still in business today. In 1976, the company moved out of the basement into a building on Lakeland Boulevard in Wickliffe. In the early 1990s it needed more space and moved back to Euclid into the company’s current location on Lakeland Boulevard. The current business has three segments, all related to precision grinding and machining. First, it is a precision spindle repair service company that rebuilds all types of ball and roller-bearing spindles. Most popular are surface grinders, cutter grinders, internal grinders, Moore Jig grinders, both foreign and domestic. The company has rebuilt more than 10,000 precision spindles during the past 64 years. Second, it manufactures grinding accessories that include wheel adapters, internal grinding quills, collet chuck quills, extensions, flanges, spacers and precision wheel screws. Finally, the company is a stocking distributor for spindle-related products. Its major lines include Dumore hand grinders, tool post grinders, parts, spindles and drill units, and Gates power transmission products including flat spindle belts, poly vee, variable speed and vee belts. At HGR Industrial Surplus, family is everything. The owners and employees are a family, and our customers are part of that family. So, it’s always great to find other local businesses that feel the same. Some of the salespeople at HGR have told me about Mama Catena’s then I was at a Euclid Chamber of Commerce committee meeting where Mama Catena (yes, there really is a Mama who owns and works every day at Mama Catena’s) was mentioned again. The chamber uses Mama Catena’s for catering, most recently for the Amazing Race event. They said that she hand makes her pasta and rolls the cavatelli just like my great grandmother, real name Rose but always called Gram, used to do. In case you couldn’t tell from my name – part Italian. Gram taught me how to make ravioli, manicotti, gnocchi, cavatelli, spaghetti, sauce, pizza and fried dough from scratch. She passed away about 30 years ago; so, when I heard about Mama Catena, I knew I had to make a trip. I wasn’t disappointed. I was warmly welcomed. Mama, Papa (married for 62 years) and their daughter Fran took time to chat with me for about 20 minutes about Italy, food and family. I asked Mama why she decided to open a restaurant. She says, “For my kids.” Fran explained that they had a big family and used to cook for everyone in the basement (just like my other, Ukrainian, grandma did when she made perogi). Then, when Fran’s father retired after many years as a masonry contractor, they decided to open a family restaurant with Fran’s sister, Rina. Her two brothers are a policeman and a pilot. Fran says they don’t work at the restaurant but they love to eat there! In business since 1989, the family hugs and kisses its customers. Fran says, as she chokes up, “We get thank-you notes from diners and are told they feel like a table number everywhere else, not like a person. I get choked up. Our customers are like family.” To further pamper customers, the Catenas offer “blind dining” where they talk to their guests, see what they like, then cook a dish for them based on their preferences that may not be on the menu. For someone who is gluten intolerant or on a low-carb diet, they will use a spiralizer to make zucchini noodles. Also on the menu are Papa’s homemade cured olives and pickled eggplant. Prepare yourself for some garlic! 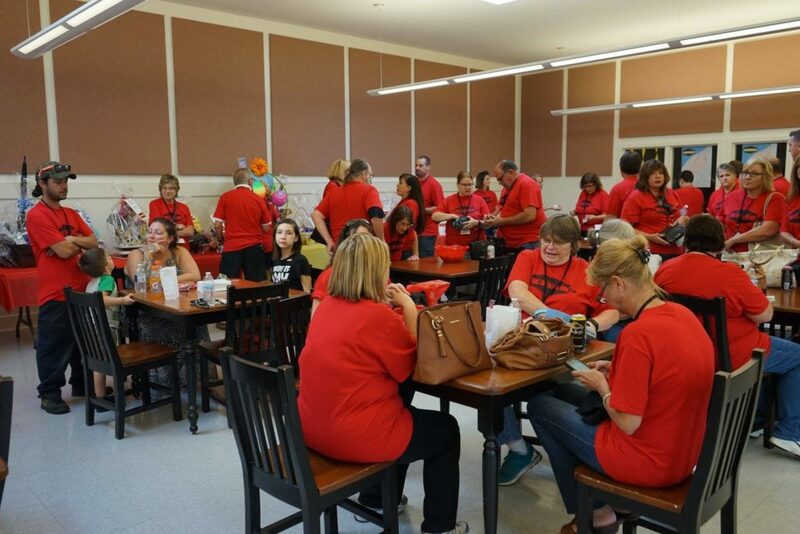 The Euclid Chamber of Commerce brought The Amazing Race to Euclid, Ohio, and HELP Foundation hosted team registration and the post-race celebration at its Adult Day Support Program. Joe Powell, HGR’s graphic designer, who was teamed with Steve “Smitty” Smith, says, “Smitty came up limping while sprinting to the first task at Atlas Cinemas. For the rest of the race he played navigator, and I took care of the events. I couldn’t hit a free throw to save my life, but instead moved back to the three-point line and made six in a row. We were neck and neck with another team for the last task, and I had to slide a la baseball style in front of them for a second-place finish. Overall, it was a fun experience, and I saw parts of Euclid that I will revisit in future because of this. HGR’s owners are dedicated to the Euclid community, including supporting other businesses, and they, in turn, support us. 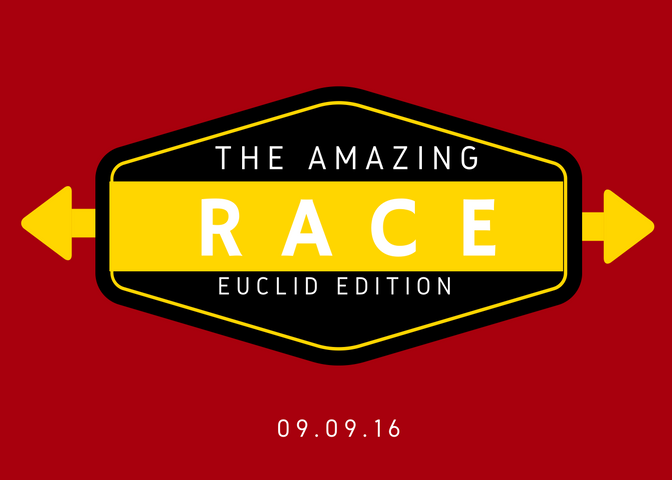 Our CMO sits on the board of the Euclid Chamber of Commerce, and I am on a committee to organize the chamber’s Amazing Race fundraiser taking place this Friday. I write the monthly “Hit the Ground Running” column in both The Euclid Observer and The Collinwood Observer to showcase area manufacturers, the products they make and their contributions to the workforce. We also are very involved with Euclid High School’s S.T.E.M. 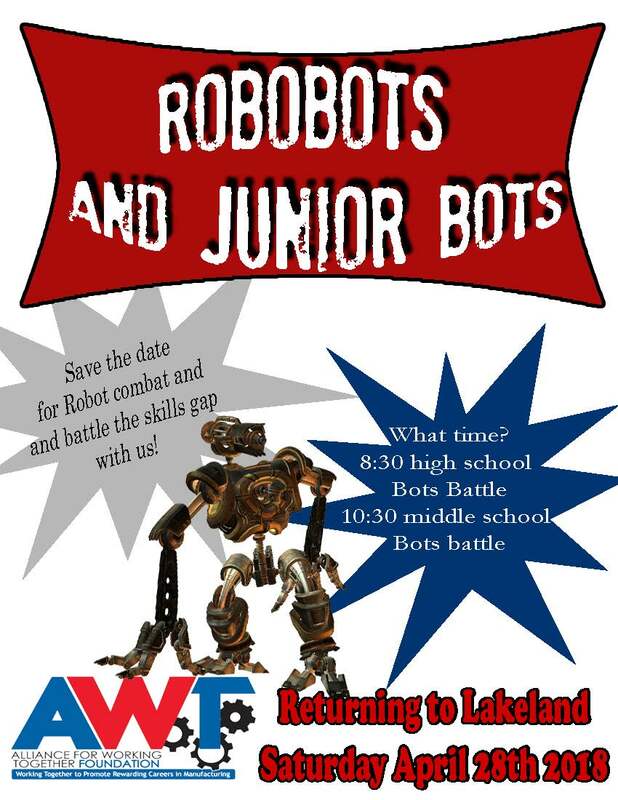 program and Robotics Club. In 2014, we bought our building and have invested in renovations and improvements. To continue our support of the community, I have gone out and met with many amazing organizations and businesses in the area and blogged about many of them, such as HELP Foundation, The Cleveland-Style Polka Hall of Fame and Museum, NEO Sports Plant, The Twelve Literary and Performing Arts Incubator, artists Jerry Schmidt and Larry Fielder of The Waterloo Arts District, Euclid Historical Society and Museum, Euclid Art Association, Euclid Beach Park Museum, and Our Lady of Lourdes National Shrine. There are two other businesses that I recently discovered. One is newer; and one is an institution that has been in the neighborhood since the 1970s. If you are looking for a good cup of coffee in the area, where do you go? No Starbucks. I found myself driving to Speedway for a cup to go. Then, Tami Honkala of HELP Foundation told me about an Arabica tucked away in the back of a medical building off a side street. They have no website, no sign, no advertising. No one but the tenants of the medical building know they exist even though they have been at that location since 2012. I headed over to the Euclid Office Plaza at Richmond Road and Euclid Avenue for a look. I met the owner, Ronny, and got excited that I could get a mocha or a latte. The only problem was: NO DECAF! I stopped drinking caffeine years ago and only order decaf espresso. They don’t have it. 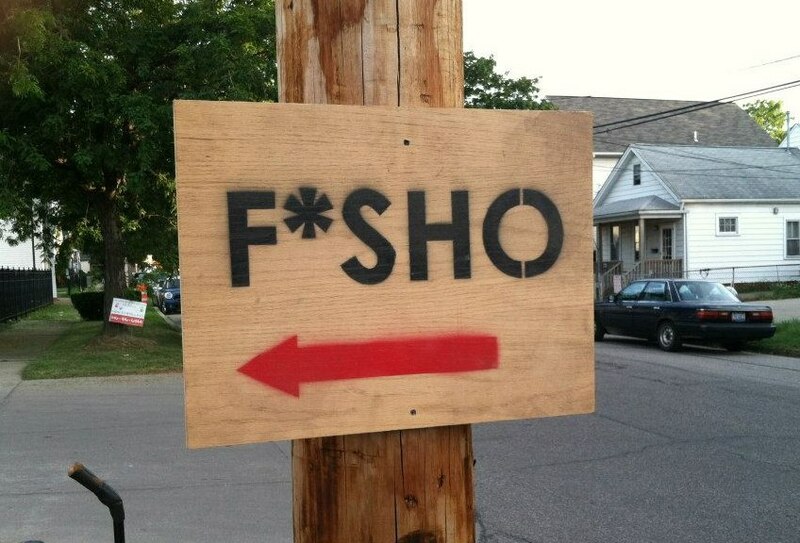 This is a coffee house that is not for sissies. They also have food, including a salad bar, and offer catering services. The longstanding local health food store, Webers, at 18400 Euclid Avenue, is owned by Bill Weber and his daughter-in-law Clara Weber. They carry many of the products I regularly buy on Amazon and eBay. Clara even was willing to special order some products they didn’t have in stock. When I shared with her where I worked, she told me that they were HGR customers and had purchased a forklift that they regularly use to unload inventory from delivery trucks. What comes around goes around. It’s always good practice to be a good neighbor.